Lisa was very helpful,pleasant and a great person to work with. We were very trying home buyers, but she was very patient and knowledgeable. She was always there when we needed her and put in a lot of time and miles for us. If we sell or buy again we will definately have her as our agent. -- Donald and Karen A. Everyone knows that buying and/or selling a house can be a stressful event. Finding the right Realtor can be just as bad sometimes. We recently decided to sell our home and buy a new one on the water. We contacted Tori Dono and asked if she would be willing to be our buying and selling agent and she agreed. From the first time we met, we knew the right decision was made. She listened to what we wanted, helped guide us til the end, watched out for what was best for us, and for every bump in the road we hit, she was always there to smooth it out. Throughout the whole process, there was one thing that always stood out to me an my wife.. Something Tori would always say no matter what we did.. 'All I want is for both of you to be happy in your decision'. That really meant a lot to us especially since I knew she meant it by how she was so attentive and concerned about our every need/request. I've always thought that most Realtor's are in it for the money, but there are a few that are willing to go above and beyond the call of duty. Tori Dono is definitely one of them. If we, or anyone we know for that matter, ever decided to buy/sell in Hernando, Pasco, or Citrus County, I can guarantee you that Tori Dono will be the one we choose or recommend. Having Tori as our Realtor was not only the best experience we ever had buying/selling but, it was icing on the cake to end up with her as a Friend too! -- Chris And Ree L.
Michelle Guardino is, by far, the best thing that could have happened to us as first time home buyers. We had so many questions throughout the process and Michelle was there, literally morning, noon, and night to answer them for us. She went above and beyond to make sure we found a home we loved. If anyone needs an excellent RE agent, call Michelle Guardino! She knows her stuff, is personable and very responsive and has gone out of her way for us. She’s also respectful as she’s not one of those pushy agents everyone dreads. You should call her! I love Laura. Could not ask for a better Realtor. She was my mother's and the first time I met her she won me over. Honesty and being blunt are traits I find you need when signing the next 30 years away. She's got an amazing eye and can ask questions I'd never think of. She's awesome for a first time home buyer. I love my house. She searched hard to find it. We looked at over 20 houses to find it. My circumstances are very particular and I'm picky, but she was able to take all of that into account and find me the house of my dreams that fits my family's needs. And then she flipped around and did exactly the same thing for my mother in an even harder circumstance with a VA loan. We both love our houses and she feels like family. I would highly recommend her to anyone and everyone. We had the BEST experience with Michelle!! She is incredibly knowledgeable, aggressive, and totally attuned to our wants and needs. She found my family the perfect home for us! Michelle answered questions day and night, and kept us up-to-date every step of the home buying process. She’s super organized and professional. We will never use another agent and we will always recommend her to anyone who asks. She is a real estate guru! We had the BEST experience with Michelle!! She is incredibly knowledgeable, aggressive, and totally attuned to our wants and needs. She found my family the perfect home for us! Michelle answered questions day and night, and kept us up-to-date every step of the home buying process. She’s super organized and professional. We will never use another agent and we will always recommend her to anyone who asks. I can’t think of a single negative thing to say about her! She is a real estate guru! It was a such a pleasure working with Laura, who is really patient, and had all the answers to all our questions. I highly recommend Laura to everyone who is looking for a house or selling a house. She helped me both ways and she made both of our transactions so easy. Thank you again, Laura! Heidi Alonso went above and beyond for us through our selling and purchasing process. It was the most stressful event I’ve gone through in a long time and Heidi is what kept me together. Her knowledge of not only the real estate industry but also the mortgage industry was impressive and a huge asset when dealing with the lender for my new home (not to mention she also got us over list for the home we sold)! She was hands-on with everything and always willing to take the time to explain processes and timelines to help calm my frazzled nerves. I think I may have been a very needy client, but she never made me feel that way! I would 100% recommend Heidi as a Realtor to all of my friends and family, she is absolutely amazing and I couldn’t thank her enough for all that she did for my family. We absolutely love our new home and neighborhood and she had a huge part in making that happen. Andrew Assisted is with a recent purchase. He was very helpful and pleasant to work with. I would recommend him for anyone looking to buy or sell real estate. When my wife and I decided to move to Florida from Illinois we knew we had to find a good Realtor. I contacted a few Realtors to search for homes, but found that most Realtors didn't want to do much since our house hadn't yet sold. I remember the first thing Kim said to me,"I will not let you down and I will be here from start to finish." We feel Kim went above and beyond to assist us with the purchase of our new home. We found Kim to be dependable, reliable and hard working, making our move less stressful. After we put a contact on a home and we were still in Illinois, Kim would make sure all inspections and repairs were done properly. Also, would email contact info so we could have things lined up before we moved in our new home. I would most definitely recommend Kim (Tropic Shores Realty). We wish to express our sincere thanks and appreciation for all the hard work and attention Kim gave during the process of finding and buying a home here in Heritage Pines. Since we were still living in New Mexico and selling our home there, we were not able to be in Florida often. Through all of this, Kim kept in constant contact, was always available for questions, and was instrumental in solving a few problems that arose. She made the process of buying our home easy and stress free. Todd was a godsend for my wife and me. We were states away and Todd handled everything far beyond expectations to get us into our dream home. Can't thank him enough for all his hard work and dedication. From start to finish Todd made selling my home a very simple process. His professionalism was most appreciated as well as his genuine interest in finding the right buyer for my home. He did a great job and I thank him for all his help. We would like to thank Todd for being there for us any time we wanted to see a house. He has been a great source of information, and has never failed to deliver. We would use Todd again and have recommended him to others. Andrew Dickinson was a wonderful real estate agent who goes above and beyond his duty to get what I demanded. I got myself a beautiful home because of his outstanding services. I am grateful for his work and will continue to use his service into the future. George was an excellent realtor, he guided me through the whole process and was always professional and patient. I was simply amazed by his knowledge of looking for and buying a home, he always gave me more information to make a informed decision on behalf of myself and my family. I really consider him to be the absolute best at what he does and any family who is looking to buy a home would be lucky to have him as a realtor. I'm so grateful to George for helping me through this process and assuring everything went smoothly. George goes above and beyond his clients needs and that is invaluable. I recently purchased a home with the help of Jennifer Harper from Tropic shores Realty and she was amazing!! I had picked so many homes to view and she was super helpful with quickly making that happen. Jenn will always tell you that she builds her hours based on her clients, so you'll never have to wait to see or look into a home you're interested in. Also, since Jenn has been working in real estate for a long time, she is very knowledgeable and knows exactly what to look for in the home and on paper! I would have been lost with the entire process if it wasn't for the help of Tropic Shores Realty and Van Dyke Mortgage. I would highly recommend anyone looking for a home to speak with Jenn and her team at Tropic Shores. They truly made buying my home simple, easy, and as quick as it could be! Thank you to both teams at Tropic Shores and Van Dyke! Cindy Rusher goes above and beyond!! She was always encouraging and enthusiastic when I became doubtful and discouraged I would ever find the right home. She was patient when I was picky. She was there at a moment's notice when I wanted to view a home. She is the quintessential Realtor. I've had a couple others before her and it seemed they were just interested in getting a sale. Not Cindy. She won't give up until you find your home and say I love it! She is the best Realtor ever!! Living out of state and doing business without representation can be a nightmare. But getting Juan services made it bearable. He found the lot and the builder. Not only he was our realtor but our representative in our new home construction. Overseeing the progress and keeping us updated in the progress of it. We are finally at home. We couldn't have find a more knowledgeable, persistent, and honest agent. All I can say is Thanks for all your work.service. I came in contact with Pepper when I became interested in a property she had listed. She was, of course, working for the buyer, but that didn't stop her from helping me thru the entire process. I couldn't have done it without her. Thanks Pepper Greenwell!! Todd LoCascio was great to work with and I would recommend him to anyone. He was quick to answer questions and assist when needed and even during the holiday season. He even changed his schedule to meet last minute demands for our closing. I couldn't have asked for a better realtor. Amrita Bedi was an amazing support for us throughout our entire home buying process. She made herself available based on our (sometimes very limited) schedules, she took in all our comments and showed us the best houses for what we wanted/needed. I really appreciated how knowledgeable she was about the area and the market. I would recommend her to anyone looking to buy/sell a home in Hernando. My family and I all use Tropic Shores Realty. We have always been beyond pleased. The agent we always use is Adam Haynes. He is knowledgeable, supportive, never pressures you, is always willing to meet you at a prospective property in a moment's notice. I am listing one of my homes with him now, will be listing another soon, and will also be using him to purchase another home in a year or so. I can't recommend him enough. We had Pepper Greenwell for our agent... She listed our house at the end of Sept. promising to sell in six months. Well it is December and our house has sold. Pepper was very professional and always answered my phone calls and questions. Pepper was a pleasure to work with. Good Luck PEPPER! -- Marie and Troy S.
Douglas was EXCELLENT! In every aspect. He sold my house on over an acre of land and was very professional and trustworthy. I will stick with him from now on. Thank you Doug for your awesome knowledge and abilities! THE BEST OF THE BEST! Thanks to Todd Locascio for helping my wife and I throughout the home buying process. He did an amazing job staying on top of things. I will definitely be recommending to anyone looking to buy or sell. Tracy is the person you want to help you buy/sell your home. We have known him about 4 years and would not hesitate to have him be our agent again. He shows genuine concern for your best interests. He answers questions quickly and gives total attention to helping you. I can also proudly say he is our friend. Tracy is the best! It was a distinct pleasure working with Debbie Cleary on the very successful sale of our home. Pricing right and showing at its best resulted in a contract the very first day. Thanks Debbie! After my wife and I drove across country from the Pacific North West, we hooked up with our realtor Tami Cook. She set us up with lots of potential listings and was always there to answer our questions. Weekdays, nights and weekends she provided excellent communications and support. She listened to our needs and wants and made our home search an enjoyable adventure. She guided us to the perfect home for us. Josh Hanoud had our house listed and Under Contract in 5 days... If you want to do business with a Miracle Worker, he’s the man to see. He has our total recommendation, whether you are buying or selling a home. Phil worked to get me a good deal on property I was trying to buy. He kept me informed throughout the whole process. A pleasure to work with him. Would recommend Todd LoCascio as your agent. Very down to earth personality. Patient while we dragged him all over looking for a house. His honest opinions were appreciated. Me and my husband thank him for putting up with us. We were impressed with how fast Jennifer Harper was able to find a Buyer for our mobile home. We closed on the home within 2 months of listing with her. She was very knowledge and we would definitely recommend her services. My husband and I worked with Janeen Shorosh to purchase our first home and really can’t say enough good things about her. She is knowledgeable, approachable, personable, endlessly patient, and incredibly generous with her time (including mornings, evenings, and weekends over the course of several months). She answered every question and explained every form and every part of the process clearly and thoroughly. Buying a home in this market is challenging, but working with Jannen made it as painless and straightforward as possible. We highly recommend her. Adam Jackson worked with us tirelessly for about two months and we could not find a home that met our needs. But he didn't give up. He spotted a home that was put back on the market and he recognized many of the features we were looking for, called us and it was perfect. He helped us write a contract on it and we closed in 10 days. I cannot say enough about how great it was to work with him. I highly recommend him! Debra Cleary was so extremely helpful with the process of selling my Mother's house. She made an already emotional process so very easy. I would highly recommend her. She is honest and communicates all the necessary information clearly. She was truly wonderful!!!! Kim went above and beyond for my home search. Answered every question I had and made herself available for my schedule. Super sweet woman with a wonderful personality. A down home kinda girl. My search was a hard one for all involved and there were a lot of hoops to jump through but Kim jumped no matter how high they asked. She walked me through every process. If I ever have to do it again I would certainly search her out. what a blessing she is. Thanks so much for all your hard work Kim. She goes above and Beyond to make it happen! Laura was very helpful from start to finish! She was available the same day that I reached out to her to meet me at the property and we were able to get an offer in right away. She was always available no matter the time of day. Thank you Laura!! Selling my father's home after his passing was difficult, made even more so by the fact that we are in New York and the home is in Florida. Debra Cleary did a wonderful job keeping us informed throughout the process. All the forms and legal documents were handled electronically which was fast and efficient. Debra made the whole experience easy and fast. We thank her for her dedication and professionalism. Violet was there for us at every stage of the process -- from listing the home to attending the closing of the sale. She was very knowledgeable about the current market conditions and pricing. She explained offers and any special clauses that were added and how to best counter the offer. Would use her as my realtor again wether I was selling or buying. Katrina was on point from start to finish. I had found a house online and when I hit contact realtor she got a,hold of me within a few minutes. She called me the next morning, said the home was available, and we were at hwr office submitting an offer within the next hour. If you want a kind reassuring woman, yet no nonsense at the same time, Katrina is your woman! !Thank you Katrina!! I had been driving around looking for property when I found one that was posted with a sign listing Laura Varner as the agent. I called and was impressed with her demeanor and knowledge. I asked her for her assistance. She was responsive and provided the necessary directional information and made herself available with each viewing request I made. Laura proved to be very intuitive with a thorough knowledge of the buying and selling market. Laura also helped me through the process of listing and selling the property I was moving from. I just can't say enough good about Laura! 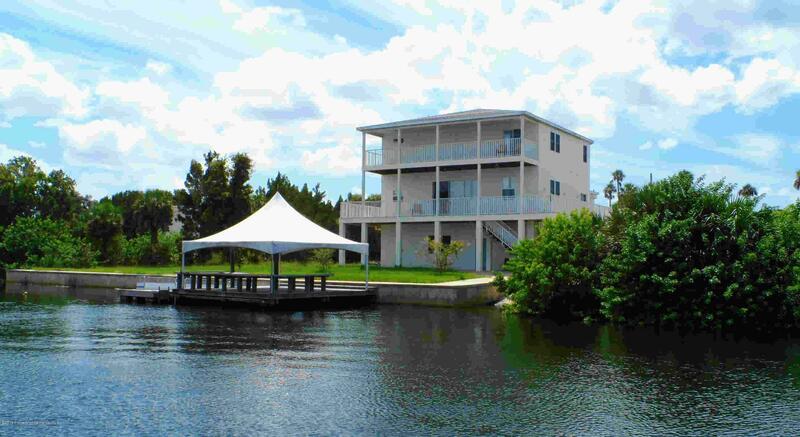 Elsie @ Tropic Shores Realty was highly recommended by friends that moved down to Florida from New York. She was very dedicated and educated in her field and found our dream home within a month. She made the process quick and easy and less stressful to us. We are extremely pleased and would recommend Elsie to others. Carl and Sue B. FIVE STARS!!! Agent Laura Uribe has been my realtor for the past couple of months. She has provided a professional, caring, informative, and supportive role towards my realization of obtaining my goal. I highly recommend her, she's great!!! Thank you, Laura, and many blessings. It was a complete pleasure working with Kim on the sale of my property in Spring Hill. Professional, thorough, detail-oriented, & very focused on the task at hand. From the moment my husband and I spoke to Kim on the phone, she was tuned into our needs & requirements. Our property sold in a matter of days and we could not be more pleased. Thank you, Kim, for your impeccable customer service and professionalism. I met Dominic Korinis last month (June 2018) through Home Advisor when I needed a home inspection done for a house in Spring Hill, but unfortunately the contract didn't go through because of the seller not revealing important information on the home. I was heartbroken. I chose Dominic to be my Realtor since he told me he works for Tropic Shores Realty. I told him my heartbreaking story of how I was struggling and going through so much hardship, etc., plus I had so many Realtors from different real estate companies who couldn't get me a single family home, but Dominic could. I can't thank Dominic enough for all the hard work and everything he has done to get me a gorgeous home in the Pasco area, since Spring Hill wasn't meant to be. If any buyer out there is looking for a home, please choose Dominic and you will be very happy that you did. He won't steer you wrong. He is a rock star Realtor, is kind, supportive, and looks out for your best interests at heart. I was a nervous wreck before the closing and Dominic reassured me that everything would be ok. So glad I chose Dominic as my Realtor. Look no further Julie by far the best realtor there is .... With her assistance she helped sell my parents and in- laws home .. my in - laws home sold the same day it was listed..she is extremely knowledgeable, very honest and will be with you every step of the way guiding you thru the process. Thank you so very much Julie. 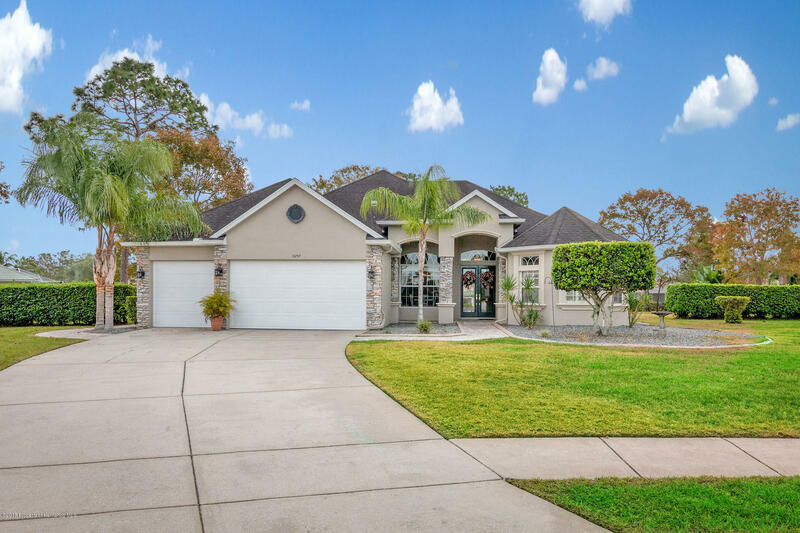 Are you looking to buy or sell real estate in West Central Florida? Then you need a real estate agent that is a real professional in the real estate market. One who does his homework, to get you the best deal possible. That agent is Andrew Dickinson. This man means what he says , and says what he means ! No extravagant stories , No unkempt promises , he is as honest as the day is long. To me that is VERY important ! We just dealt with him in selling our house in Hernando Beach. To begin , he did a thorough market analysis of recent sales. He then took photos of our home that really featured its assets . These we professionally displayed on several web sites , that really showcased our home . There were many views and saves. He worked closely with other realtors, offering a generous commission for their potential sales efforts. The result , in about 1 month , our place sold for fair price. It was a real clean , cash deal . He guided us through all the contact language, and sat with us at the closing. All went very smooth. So, our many thanks to this real professional sales agent , Andrew Dickinson. Clara Andersen is my go-to realtor in the Brooksville/Inverness area. Clara Andersen is my go-to realtor in the Brooksville/Inverness area. She helped me to buy a house in 2016 and then again just recently in June 2018. Both times she was very good about helping me find and showing me multiple options within my very narrow range of acceptable properties :-) This last time I had an issue with my first choice, with a seller who pulled a last minute trick on me. Clara stood strongly behind me and made sure I came out of that experience with no financial damage. Then she proceeded to find me another property and worked diligently to make sure that purchase went through without a hitch. It was a difficult transaction due to sellers residing on property and waiting until the last minute to move but I wasn't worried because I knew Clara had my back. We would like to say thank. We gave you a difficult task for our specific needs in a home. We were living in South Carolina so we depended on you for having the perfect places for us to review. You found us the right house and made the buying process extremely easy. You kept us up to date every step of the way. You responded very quickly to our questions and for this, we say thank you. -- Jack And Debra H.
Pepper Greenwell is the best Agent you would find in the area! If you are looking for someone to sell your house quickly and effectively, she is it. I sold my house faster thanks to Pepper! More than happy with Pepper Greenwell, I recommend her to everyone looking for a creative enthusiastic Real Estate Agent (That’s Pepper) She helped me sell my house with best and highest service and dedication. Thanks Pepper Greenwell for all you do. I contacted Tropic Shores a few months ago looking for my next home. To my delite, I had the pleasure of working with Katrina Stough. She stayed in touch with me every step of the process. Yesterday I closed on my new home in Timber Pines and am VERY glad I worked with Katrina. Thank You Katrina very much. Mas que agradecida, con tu trabajo, he sido bendecida!!!! Thanks, Thanks, Thanks... More than thankful with your work, I have been blessed!!!! I was interested in a property I was researching online and as soon as I gave my info Mike called me and gave me the 411. He made the negotiation very easy and stress free. Thanks for everything. We worked with Sheri Orendorf to buy our new home and to sell our old one. She was wonderful to work with, doing her upmost to sell our property and to make purchasing our new home as easy as could be. As a young, first-time homebuyer, I was scared thinking I would never find an affordable place in Citrus County, which caters more toward senior residents or experienced homebuyers.There were no decent or cost-wise rentals available, and many homes on the market then were either in need of repair or weren’t manageable.Of the several realtor who showed me around, Sharon Middleton seemed the most patient and dedicated in finding the right home for me.Once I had a home in mind, Sharon tirelessly worked to negotiate with the seller and referred me to a great loan officer, making my first home-buying experience an enjoyable and almost effortless one.She even got me in touch with a handyman to give my home a jumpstart.Sharon didn’t just see me as a client, she saw me as someone struggling to find a home to call my own and stuck by to the end to make sure I found somewhere for my future. I was very pleased to work with Sharon Middleton when I was searching for a new home. She took time to understand my personal situation and then went to work lining up a very suitable range of offerings to match my needs. In the process, she was always available by phone to answer my concerns. She did suggest excellent agencies to contact for all my needs in arranging for a purchase, and it was obvious she knew who could be relied on to provide good service. We met an obstacle that was not her fault, and quickly re-adjusted our search. Eventually she found a home with a large built in office and a large shed for my woodworking equipment, both things that far exceeded my expectations. People who knew her all spoke well of her and I am happy to join that group of fans. Elsie Kempsey was our realtor when we bought our home in Woodland Waters in Weeki Wachee. We worked with Elsie for 6 months and she delivered our dream home. She was knowledgeable and forthright with all aspects that we required in our purchase. We highly recommend Elsie for consideration as your next realtor when looking for a new home. Working with Erica was a great pleasure. She is very knowledgable about the Ocala market and always looked out for my best interest. I highly recommend Erica for her skills, knowledge and very pleasant personality. Nickey and I would like to express our sincere appreciation to Tracy Ramsey for organizing, planning and patience, in assisting us in the purchase of our forever/ retirement home! She by far has exhibited the best practices and is strong in identifying priorities for making this transition go as smoothly as possible for her clients and going well beyond our expectations. You should be quite proud of her efforts in taking pride in her work she is an exceptional example of a team player representing your company! Thank you so very much Tracy Ramsey and Tropic Shores Realty! -Doug and Nickey BrunotP.S.we are definitely giving her name out to our family and friends. Debbie Garland helped me find a home in Spring Hill while I was still living in PA. I never even saw the home until the day of closing. Debbie had sent me listings by emails and sent me photos of each property. She would help menarrow down my search by previewing the properties herself. As a widow I was very nervous to make such a decision by my self but with Debbie Garland I felt that she had my best interest at heart. I am so happy with my home and very happy with Debbie. She was patient with me and helped me understand the whole process of buying a home in Florida. It was the best move I ever made thanks to her. As broker owner of Rita Hill Realty,I have had the pleasure to close a transaction with Debbie Garland and was impressed by her professional manner. Several days after the closing I reached out to her to schedule a lunch date. That was several years ago and we have been having lunch together as often as our busy schedules permit ever since. I value her opinions on the pulse of the real estate market and enjoy being with someone as nice as Debbie. I would love to have her on my team anytime. I have been in the real estate business for 23 years. Fro twenty two years I have been the broker owner of Gulfside Realty Inc. I have had many agents in my company during the twenty two years come and go. Debbie Garland stands out above all of these agents. She always presents herself as a professional. Debbie knows her job well and continually is upgrading her education to add to her professional ways she runs her business. Debbie was always the top producer in my company. Debbie like all exceptional agents moved on to better her career. I made one mistake letting her go and that was I should have offered her a partnership in my company. After my husband passed away I had no idea how I was going to manage selling my properties until I met Debbie Garland. Debbie has listed and sold several of my vacant lots, a home in Spring Hill and helped me find my current home. Not only is she was very knowlegable about real estate, she is also a sweet caring person. I am so happy I had her as my real estate agent and I highly recommend her to any one. 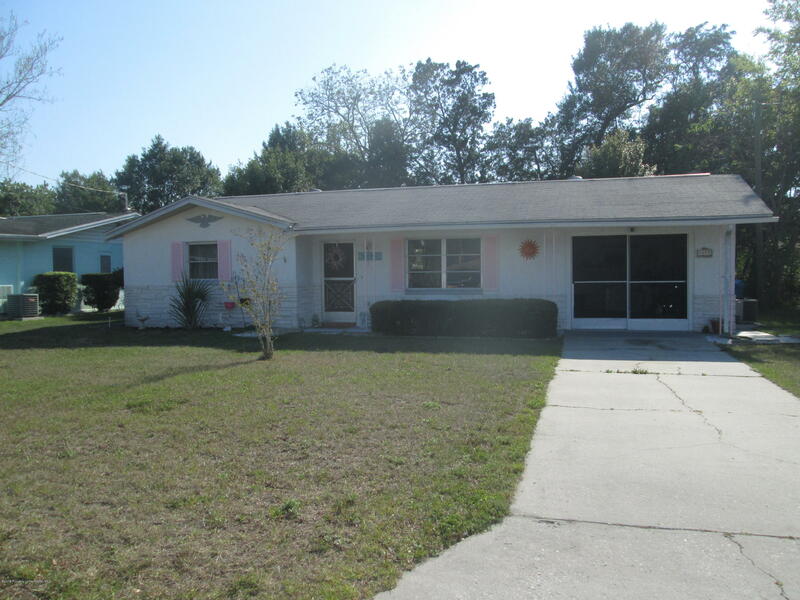 We engaged Elsie Kempsey to sell our home in FL. 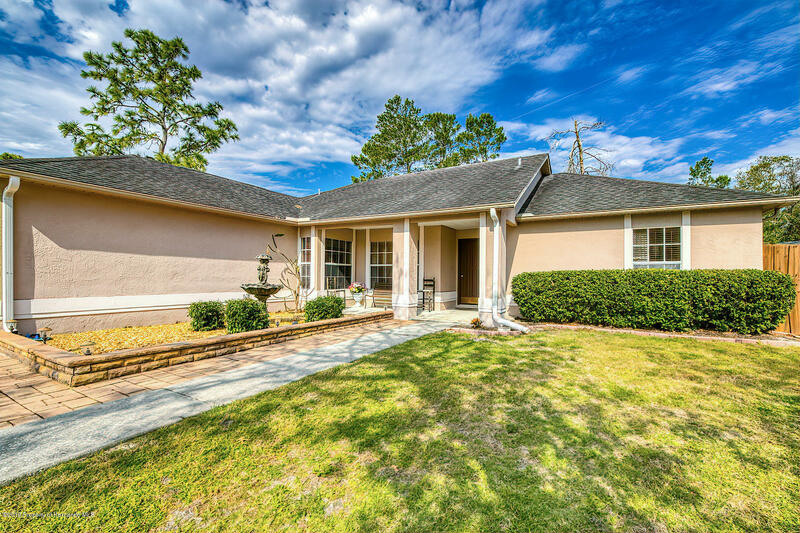 We engaged Elsie Kempsey to sell our home in FL. Elsie went above and beyond her duties in order to sell our home. She had beautiful pictures taken of our home and did whatever we requested of her. She gave us excellent suggestions in order to maintain the house in good viewing condition for buyers. She also gave us timely and excellent feedback for every viewing either by her or other agents. We are very grateful to her for all of her efforts. Julie Ludovico was the selling agent for our home in Spring Hill. She was very knowledgeable, professional, and a really sweet individual. She had a photographer take beautiful pictures inside and out of our home and she gave us direction on our asking price. After having two viewings in two days, we accepted a full price offer from the second showing. Julie kept us informed every step of the way. Needless to say, with Julie’s help I think you can expect great care and wonderful results. She is a number one agent. I purchased my beautiful home in October 2017 and Lisa Wilson was my real estate agent. She did a wonderful job in finding me the right home and guided me throughout the process. I was very pleased with Lisa's service and knowledge of the necessary steps for a first time home buyer. Thank you Lisa! This is our 2nd time working with Elsie and Julie. they helped us purchase our home and they just helped us sell the same home. We couldn't be happier with the great service they provide and outstanding communication throughout the selling process. If you are in the market to buy or sell your home I highly recommend Elsie and Julie. Erica was excellent in every area of purchasing a home. We could not have been happier in her dedication to customer service as a homebuyer. She made our experience the best in our lifetime of purchasing properties. -- Mark & Trish W.
10/05/2017 - zuser20140611050652978Bought a Single Family home in 2017 in Tampa, FL.Let me start by saying IF YOU DON'T CHOOSE LAURA TO HELP YOU BUY YOUR NEXT HOME, YOU'RE CRAZY! She is simply amazing! I had never dealt with a Real Estate Professional before and she has totally made me a believer. She not only showed me homes and she assisted with finding a lender that could work around problems. Her experience as a mortgage broker certainly came in handy! Laura showed us a house that we had discarded. Somehow she knew it was the house for us. We went and looked at several homes and sure enough, she was right! Laura enabled us to go from "maybe we'll look" to closing on an incredible home in less than a month,and we even got $ back! AMAZING!!! She was great! We looked at what we wanted! Kept us informed as to what was going on with the processes. And how the process was coming along. We ended up with the perfect house for us!! Having bought and sold several houses, this sale, and especially my agent Pepper, was perhaps the smoothest transaction ever. I have no problem recommending Tropic Shores agency and specifically Pepper. Erica went out of her way to find me the perfect home! This was my first time buying a home on my own and going through the buying process. Erica really put her self out there for me, she was always available to answer questions and be a wonderful support system. I consider her more than just a realtor, I consider her a good friend. She went out of her way to make sure that not only did I find a good house to match my needs, but she made sure that I was treated fairly throughout the process. Buying a house is an extremely stressful process and she was able to minimize my stress and keep me grounded. I am happy that I found her, I don't think I would have had the courage to buy a house otherwise. She is truly remarkable. Erica Sauve is amazing! She took all measures needed and then some to help me find my new home. I know she truly cared about what I was wanting and worked overtime to find it. ?? I would highly recommend her for anyone's real estate endeavors. Honest and attentive. Returned my call immediately and showed me houses on weekends/Sundays if she needed to. Very knowledgeable- explained what certain details to look for and what to avoid. Always on time with a smile. -- John & Erica M.
Erica was fantastic from beginning to end! She was recommended by a coworker who was extremely happy with her help in their home purchase. We moved here from out of state and did not really know the area.Erica asked a lot of questions to make sure she found just what we were looking for. She always stayed within our budget and was the first one to point out flaws or potential upgrades in every home we looked at. After the first few homes Erica showed us we were pretty confident she could pick exactly what we wanted with out us even being there!Erica went above and beyond to address every question and concern. We are thrilled to have found such a wonderful real estate agent. She made the buying process stress-free. She answered all our emails, phone calls and texts immediately, and went out of her way to learn everything we needed to know about our new community. She was the first person we had contact with in a new state, and felt as if we'd made an immediate friend. We would HIGHLY recommend her. Had rented a very affordable house from them for about a year. They worked with me on proof of income issues, and always fixed anything I asked about. Move-in and move-out were both pretty quick and easy. Approximately nine and a half years ago my husband and I relocated from Macon, Ga. to Brooksville, Florida. Elsie Kempsey and Julie Ludovicho were our agents and helped us find the perfect home for us! After my husband passed away in August I decided to move closer to my grandchildren, so, having had such a good experience with Elsie and Julie in buying our home, I contacted them and they came to my house for a preview.They gave me recommendations for sprucing up a few things as well as the names and numbers of people who could do the work. The house was under contract after being on the market for less than three weeks. I highly recommend these ladies! They are professional and personable and they absolutely know how to assist you in buying or selling your home! I want to tell you about a AWESOME agent, Julie Ludovico. Not only did I present an out of the box request, Julie went along and made it one of the most enjoyable experiences. Julie kept me informed and updated throughout the process. And the most amazing thing was the closing: it may have taken 30 to 45 minutes. I would and will recommend Julie to everyone and might I ad, my friends. Julie you "ROCK"
We inherited a house in Spring Hill that we wanted to sell. Living out of state we had no idea who to use as an agent or the norms for selling a house in Florida. 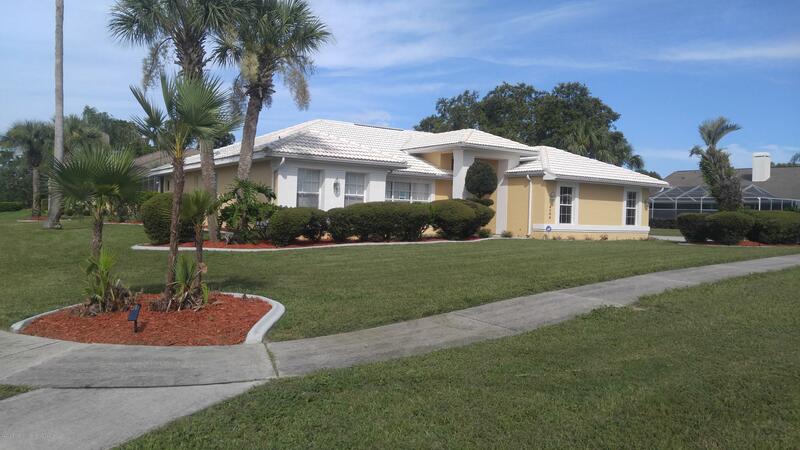 An agent in another part of Florida recommended that we go with Elsie Kempsey. We met with Elsie in late October, immediately signed with her, and closed on the sale of the house on 12/15 at a price that was much higher than we anticipated. Elsie was fantastic.Elsie made the entire process very easy. She came to our first meeting prepared with comparable sales and detailed information about our house. She did a good walk through the property, asked what our objectives were for the sale (fast, maximize price, etc. ), and then recommended what should be done and not done to improve the property. Based on this information she gave us a recommended listing price. The house sold for a price within $1,000 of her recommendation and within the timeframe that we wanted. Not only did we get a sales price above what we expected, Elsie saved us money by very clearly telling us what improvements were not necessary to make during the sales process.As an out of state seller, having Elsie as our agent was a tremendous help. She provided recommendations for contractors to do odd jobs around the sale property and coordinated with them to allow access to the house. The people that she recommended did quality work at reasonable prices. Trying to find reputable contractors at a fair price and arranging scheduling from thousands of miles away would have been a nightmare. Elsie made our life easy.In short, if you have a property to sell I highly recommend Elsie Kempsey!! It was great working with Andy. He was not only honest and professional, but went the extra mile to keep me informed each step of the way. My thanks!!! Erica Sauve is the best real estate agent ever. She knew exactly what to do in every situation. 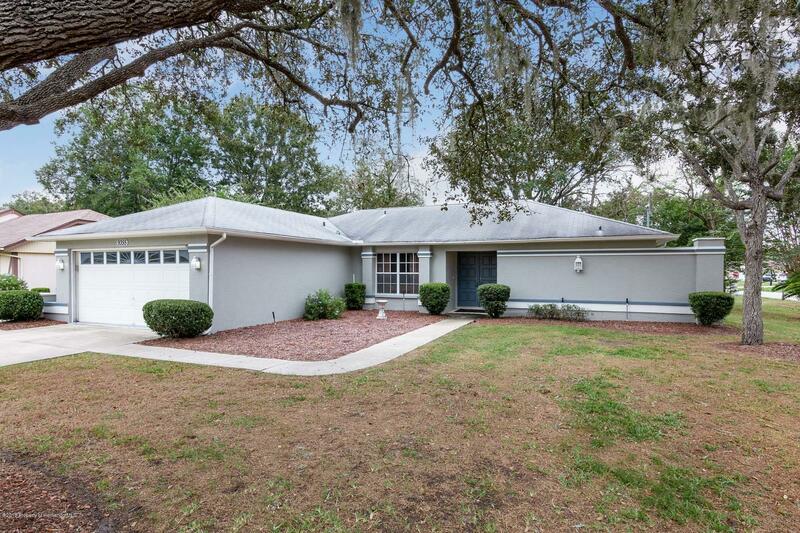 We bought our Florida home in Marion Landing and we love it. I would recommend her to anyone looking to purchase a home here. Erica is more than our agent, she is a friend. What a great person with a positive outlook to work with in selling our home. It was a joy and a pleasure to have someone with experience and knowledge in today's market. I sincerely recommend her services and professionalism to anyone. We appreciate all the work you've done.Thank you again for the great service. 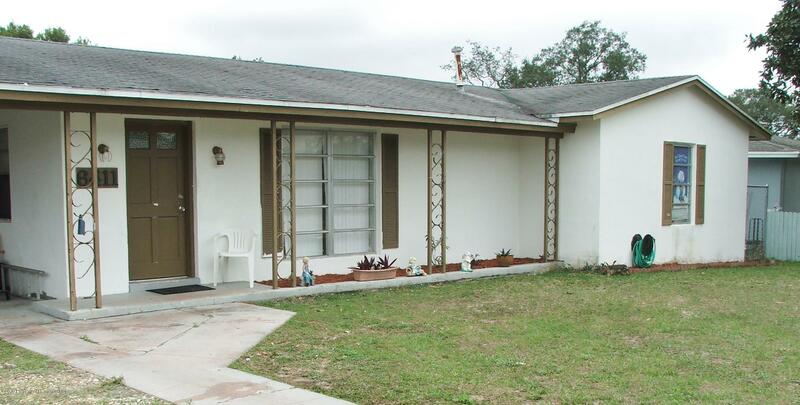 I have worked with Gretchen Rotoli to rent my home in Brooksville. I was very impressed with the quickness in getting people to see my home and come to look at it. Gretchen took really nice pictures, so it can be viewed o Zillow. Gretchen was easy to work with, she was always available when I called. I went on vacation while my home was for rent and Gretchen took care of everything for me while I was out of town.I would recommend Gretchen to my friends and neighbors when they need a realtor. Thank you Gretchen for all you did for me when my houses for rent. Ron took on our home purchase, knowing that we were working with a relocation company and that there are often unique challenges involved with a relo. He was patient, with me and the relo people, attentive to every detail and a lot of fun to work with. He made sure to bring up things that differ between where we came from and our new Florida location, things I didn't even know to ask. I certainly won't use any other realtor, although I have no plans to do this move thing again any time soon! I have worked with Ron on three separate occasionsHe is trustworthy,loyal and most effective.I would highly recommend him. Very professional, prompt and courteous. He has integrity and that matters to me very much. I will recommend him to all my friends and family. Very professional. Answered all of our questions promptly. Never left us hanging like every other realtor we've dealt with in this area. Was definitely working for us. Couldn't of been happier. Will use him again. He is an awesome real state agent. We could not be happier. He has been prompt, hard working , informative and accommodating. I highly recommend him to anyone searching for a home in the Tampa area. I've reached out to a number of realtors but none of them came close to Ron's willingness to help my find my dream home. His attentiveness to the client, response times and willingness to help is second to none. I would highly recommend Ron Wolfgang to anyone seeking to purchase or sell a home. Katrina Stough helped my family get the house we wanted. She stuck with us to the end. She was very helpful and funny. I recommend her! From the moment I met Julie ..I knew she was the right choice~ I live in Jacksonville, Mom lived in Spring Hill. Anyone who has dealt with an unexpected loved ones passing knows how hard estate closings can be. Mom's lovely home was not an easy sell, but Julie made it easy for me. She treated me fairly, with respect, patience and compassion (as we went thru Probate). Julie went over and beyond in every aspect while keeping me informed. After all is said and done...I am at peace with Mom's passing. Julie is exceptional and I highly recommend her! Thank you! Julie is just the best of the best. !She is so optimistic and won't let you give up or get depressed or down when your house doesn't sell when YOU think it should. She is always there for you and readily available for questions and visits when necessary. She always made time for me, held open houses that were awesome with snacks, cupcakes available. I've had a terrible experience with a realtor in the past so I wasn't very enthusiastic until I found Julie. She is HONEST (not like some who will SAY anything to sell a house.) She loves her job and it shows through in her personality. I can't say enough good things except that I consider Julie not just the realtor that sold my house, but as a friend that I will keep in touch with in the coming years. Andrew was a delight to work with. He was very knowledgeable and guided us through every single step of the home buying process. He was very prompt and quick to respond to any question or concern we had regarding purchasing our very first home! I would absolutely recommend Andrew to anyone who is looking to purchase a new home! Elsie Kempsey was recommended to us through the USAA sellers program. She is very knowledgeable of the market in our area and provided excellent advice on the best way to market our home. What we especially appreciated was her understanding about our pricing concerns. Unlike many realtors, she did not pressure us to lower the price when the house had not sold after being listed a few weeks. Elsie was also very helpful in providing access to cleaners and service people. If we ever return to that area, Elsie would be our choice for finding a home. IT was a pleasure working with Andrew Dickison. Being first time home buyers he was very helpful with information and helped us out more than our Loan Officer..I would deffiently recommend him to anyone purchasing or selling a home!! I wanted to take a minute and share the experience my wife and I had while finding and purchasing our new home. I build homes for a living so it would be no small task for any agent that was going to take us on. Then in walked Elsie Kempsey, we told her our long list of wants and needs and with a smile she said No Problem! She spent several weekends with us and each time she learned more and more about us and would then tailor the next batch of homes. They were exactly what we were looking for. At the same time she was always ready with the local information such as school districts and community information. Her insight to property values and market trends were invaluable when it came to that day when we were ready to make an offer. We made an offer that was accepted, then the process of finishing the loan. getting appraisals having the home inspected and setting up utilities began and Elsie was there for all of it. She had lists of inspectors that she trusted as well as kept the pressure on for getting any list items we had for the home completed. We closed on our home yesterday and I can tell you after buying five homes this one was the easiest most enjoyable experiences. If you are looking for a realtor who will have your best interests at heart and guide you in making an informed decision and walk every step of the way until closing with you, then you need to call Elsie Kempsey! This is our Agent Testimonial for Katrina Stough. After a cold call to Tropic Shores Realty about a property we saw on line. Katrina returned our call and I was impressed with her knowledge. Right off the bat she listened to me as I expressed our interest in relocating near our family. Two weeks later we meet Katrina at our first property viewing. First impressions are important and my wife and I found her to be very personable and very attentive to any questions we would have.Viewed severial properties and made and offer. As we work are way through the buying process Katrina and Bruce Dodge with Direct Lending have worked hard keeping us informed and on point. She worked hard for us and we both have no doubt she with dothe same for you. Great Realtor, nuff said. I would highly recommend using Christine! She made a very stressful process easy and enjoyable. Her bubbly personality made my husband and I enjoy house shopping for the first time ever. Although we hope to not ever have to do it again, we would always choose Christine! I would like to thank Christine Matheson for her support and broad knowledge in the process of selling my land in Cape Coral, Florida. She was very PROFESSIONAL at all times and always answered my calls in a timely fashion. Christine is HONEST and TRUSTWORTHY with a great work ethic and caring enough to treat her clients like family. Her ambition and drive for success, is inspiring. 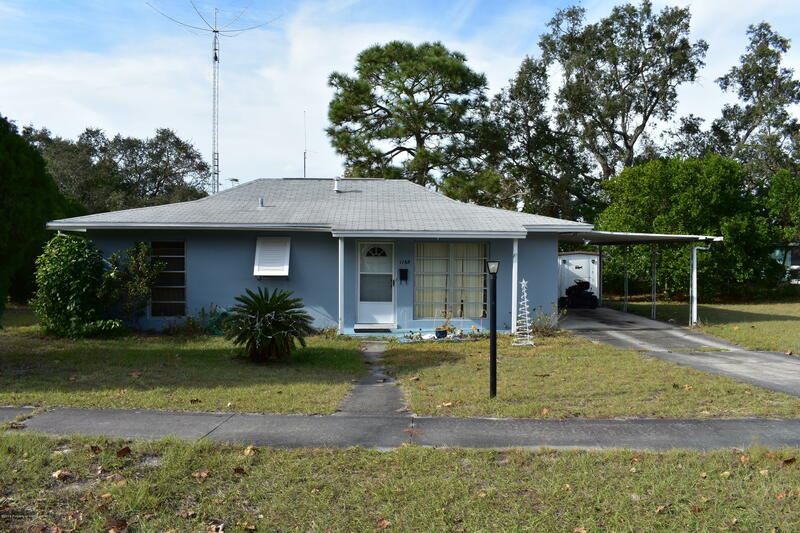 To start with, Cape Coral is not in her area of sales, so she carefully researched the area and referred me to a very competent realtor, who to my surprise SOLD my land in SEVEN WEEKS for TOP DOLLAR. When there was a question on the condition of the land, she went out of her way to gather information to put my concerns at ease. At my request, she was delighted to inspect every document that I completed and always answered my questions to my satisfaction. Christine Matheson has been my Realtor from 2003. I have bought and sold many homes using Christine since my arrival in Florida in 2003. She exhibited the Professional standards I require in an Realtor and the helpfulness she afforded me was beyond my expectations. She made every transaction smooth and when the occasional bump in the road happened she alleviated it promptly. When we the University moved offered me a position in Florida we were very excited but unclear on exactly what we wanted. Christine worked diligently for us while we were out of state and then take a great deal of time showing us a variety of houses in a variety of price ranges whenever we flew back in every few weeks. Until we found just the house we wanted (even if we didn't know it before seeing it). You need a friend like Christine. Christine is OUTSTANDING! She went way above expectations to deal with the buyer of my property, who was "The buyer from hell". She kept watch over their activities at the property site and dealt with their rudeness in a totally professional manner. No one could find a better agent anywhere. I can't say enough good words about her. Utilize her skills, enjoy her humor, and know that she will do the very best job that anyone could do. 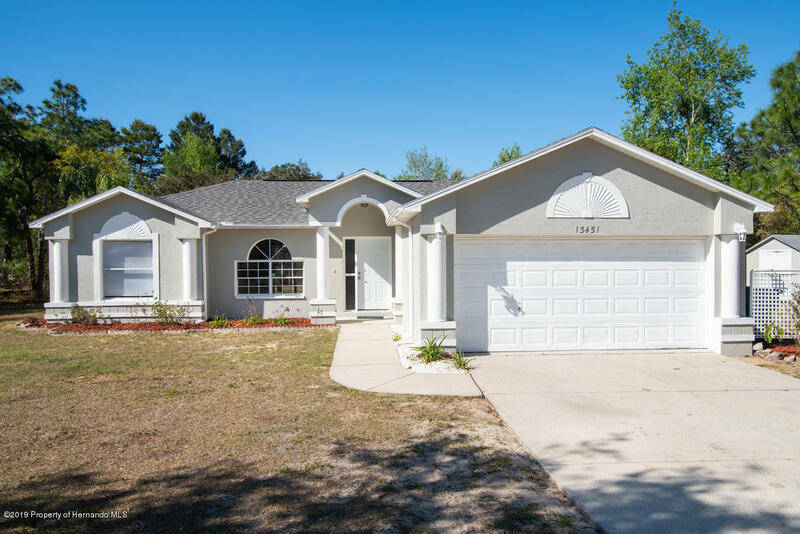 Sold a Single Family home in 2016 for approximately $225K in Brooksville, FL.Heidi understood what we wanted and was very reaponsive to phone calls and emails. Very well presented open houses to sell home as well. Presents herself in a professional and courteous manner as well. Heidi went out of her way to help me with my home search even though she knew the Spring Hill area was not my first choice. She spent a lot of time with me and knows the area extremely well. She was also very professional and personable. I cannot recommend her enough. 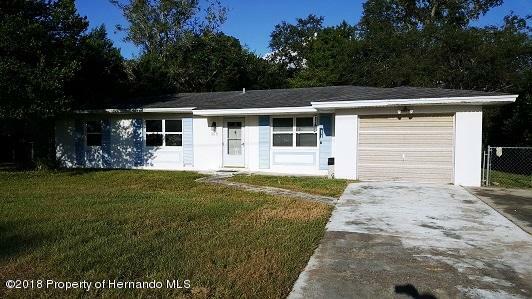 Bought and sold a Single Family home in 2016 for approximately $100K in New Port Richey, FL.Having never purchased a home before i had absolutely no idea where to even start. A colleague of mine recommended i reach out to Heidi Alonso. Upon calling her she was able to talk me through what i was aiming for and what i was trying to do and from there pointed me in the right direction. She gave me several mortgage companys to contact and the first person she recommended worked out perfect. After getting my pre approval done it was time to look for a house! Now my area, price range, and list of things i wanted did not make this an easy task on her by any means, but everyday Heidi sent me more and more homes to look at. Any time i found homes to look at she did her best to work with my schedule and get to my area and show me the homes, and boy did we look at alot of homes. Through this process i ran into alot of questions and she always got me answers, she went above and beyond her job description. Eventually she was able to find me the home that had everything i was looking for. Heidi negotiated on my behalf and we were able to lock in a home at a great deal. Now you would think that the rest was up to me, but Heidi kept in contact with me through the entire underwriting/closing process, even meeting up with me to explain paperwork i did not understand. She would contact the mortgage company on my behalf when any problem would arise. She was a true life saver and there is no way i could have done it without her. I highly recommend her to anyone in the market of buying or selling a home, she is an amazing individual and i will be using her for all my future home investments. 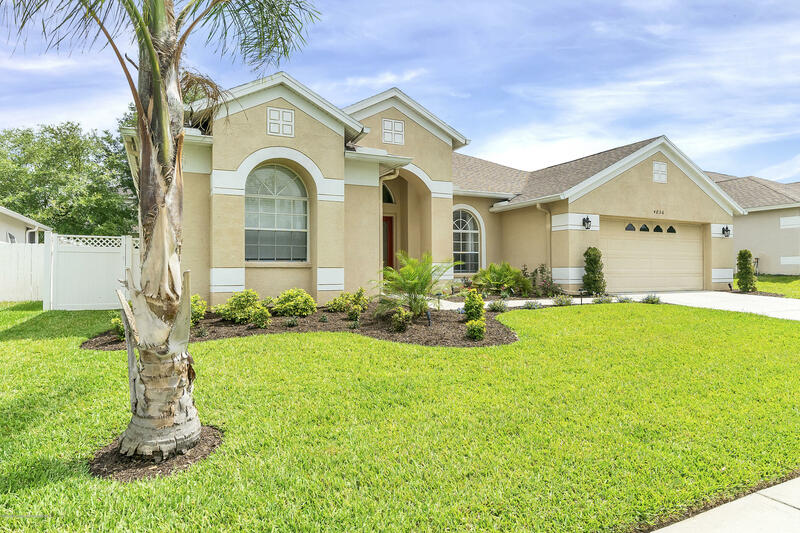 Sold a home in 2017 in Spring Hill, FL 34609.Heidi did a fantastic job on selling my house, including going above and beyond on every aspect of preparing the house for showing and in arranging for repairs. Bought a home in 2017 in Zephyrhills, FL 33541.We did not give her an easy task. we had lots of needs in our house buying and (the) first house she showed us she nailed it on the head! during the entire purchase she was there for us and went over and beyond. I recommend her to everyone. she even sold our previous home! Samantha was professional, helpful and efficient and we closed a week early than expected. Overall, great experience. I found Samantha to be professional in working with us and always worked in our best interest. -- Thomas & Christine M.
I could have never imagined what was ahead of us as we searched for our new home. The way it turned out was so perfect and was due to the on time and professional; manner in which Samantha Archer guided us through a very important time and transition. She was so on time, her experience met with the biggest heart, add in laser focus. You would be hard pressed to find any that come close to this lady. I will always be grateful to her going above and beyond for our good. Thanks Sam number one in my book!! -- Nancy & Larry S.
Samantha Is one of the best Real Estate agents I have ever worked with and this is the fifth time I have bought a home. First one in Florida so this was my first time working with Samantha. She always responded quickly to my questions, was always on time for appoiontments and helped with meeting with the home inspector since I was out of state at this time. I would highly recommend Samantha Archer for all your real estate needs. I would highly recommend this agency. I worked with Andrea Laufenberg to purchase a home in Florida from out of state. This was not easy; however, she walked me through the process every step of the way. She is very professional and knowledgeable about all the local resources. She always e-mailed or phoned with any information requested in a timely manner. She went above and beyond what you expect an agent to do. She even returned to the house twice after the purchase to help ensure i would have electricity when i arrive. Could jot have done all this without her help, fantastic agent and agency, thank you. I have never met a more down to earth, do anything to help their client out realtor. Samantha has gone above and beyond, and continues to go above and beyond to find us the right house, in our budget, and has continually worked on our behalf to get it all done. She takes a personal interest in her clients, and gives them the most professional service we have seen. We fully recommend her. I wish there was 10 stars available as she really does deserve all of them. I have had the awesome pleasure of being introduced to Sherri Orendorf today for the first time. As I prepare to canvas the Hernando Area for a home to purchase, I already feel I am in excellent hands. In the few hours Sherri has been working on my behalf, she has provided wonderful advice and has presented me with the exact expectations I have in searching for a home. I am looking forward to my continued success with Sherri at the helm. Thank you Tropic Shores Realty for having such a professional on your team. I am truly impressed. Becky Collins was a great Realtor to work with! Becky Collins was a great Realtor to work with! I found my property on the first search day! Really appreciate all her help and guidance through the Mortgage delays. Andrew was a great help during our relocation from New England to Florida. Excellent communication skills, and he helped us find just what we were looking for!! Will always refer our friends and family to Andrew!! I wanted to thank Andrew for all his help with finding our home. He was a huge help through out the process. Loved my experience with Tropic Shores Realty! These folks get the job done! Julie worked very hard and long to help us find a great place to call our new home. I am so glad we bought in a gated community. She provided us with really good information and made house hunting pretty easy as I only had one week to find something. She was a pleasure to work with and I will be sure to recommend her to anyone I know that is looking to sell or buy. Thank you Julie. Pepper Greenwell has been such a blessing! Being a first time home buyer had became quite overwhelming but Pepper helped walk me through every step of the way! Pepper went above and beyond! She was always just a call away and worked great with my busy schedule! I am so lucky to have had her as my realtor!! Andrew Dickinson is a very concerned and extremely helpful Realtor who goes the "Extra Step" with his clients. His knowledge and experience shows with the care he provides. He played a very large part in our decision to purchase the home we did. I have really enjoyed working with Andrew Dickinson during my house hunting experience. It was because of his caring and his ability to provide excellent service that we purchased a home. I am still amazed at how wonderful my home purchasing experience was. Julie was nothing short of the perfect agent. When I located the right home, she said to me “I will not let you pay too much for this house”. I relied on Julies experience to guide me through the negotiations and when she suggested the last offer, I thought “well, they will never accept it…but okay”. To my astonishment, they accepted and I paid much less than I was prepared to pay. Her warm, caring and fun personality made the experience even better. She responded to my countless emails, texts and phone calls with such swiftness and always made me feel as if I was her highest priority. An agents job usually ends at closing…but not Julie. She continued to follow up and ensure everything was going smoothly. I have called Julie for recommendations of roofers, handymen, and electricians, among other professionals and she has always come through with excellent recommendations. A few weeks after closing, I had a few questions for her and she made me feel as if I am still her top priority. Let’s face it, money is the biggest factor in a real estate transaction. The sellers want to receive the most they can and the buyer wants to pay the least they can. if Julie had been on the sellers side of the table, I would have paid a lot more for this home. And when it comes time to sell my home…she will be on the sellers side! Halie has great work ethic and is dedicated to the cause. She is extremely helpful, knowledgeable, and relentless in her effort to help. She zeroed in on what I wanted and dealt with the entire process. Halie is a delight to work with and I would recommend to all. We had a fantastic selling experience with Elsie Klempsey. She was a pleasure to do business with. She has great communication skills and always kept in touch with us. She has the the resources and expertise to get the job done. We would sign with her again in a heartbeat! Not only is she a terrific agent, but a genuinely nice person! -- Mike & Margaret N.
Julie has always done such an awesome job. I had worked with Julie on the purchase of this house, so when it came time to sell there was only one person for the job.I called her a week before Thanksgiving thinking that people would look at the house online and work their way through the holidays. She listed it and the "Miracle Lady " as I call her, had it sold in like 11 days.Julie, and the entire Tropic Shores team, I can't thank you enough for making every transaction pain free. I can't say enough about Julie's professionalism, true caring nature, and extensive knowledge. She helped to negotiate a price well below what I was prepared to pay. I can still remember her saying to me "I will not let you pay too much for this house" and she certainly fulfilled that promise. I relied on her for recommendations for roofers, electricians and more and everyone she suggested turned out to be ones I would absolutely call on again. All of the people I have interacted with have had such glowing things to say about her as well. Even after the closing she continued to follow up and ensure everything was perfect. To this day, she always makes me feel like helping me is her top priority. I think the best way to sum it up is to say this: if she had been sitting on the sellers side of the table, I would have been paying a lot more for this home. And when I am ready to sell my home....she will be on the sellers side! Julie from Tropic Shore was wonderful. From researching a house, to buying a home, to the close, she walked us through all the steps. She was extremely thorough which made us at ease. Will definitely use Tropic Share and Julie again! Elsie knew the process and advised me every step of the way. A very pleasant and stress free purchase. She knew the answers to my questions before I even asked them. Very knowledgeable and a pleasure to work with. I highly recommend Elsie if you are looking to buy or sell a home in Florida. Halie has helped us with two sales and has been a pleasure to work with. She knows her stuff and ultimately helped us get the most for our money. Great Business to deal with! I've had many deals with Tropic Shores Realty. Each and every one has gone like clockwork! Excellent! Andrew was great agent showed us several houses. When me made up our minds what house. Andrew went out his way show us around. Since my wife and I are from Pennsylvania and relocating down here Andrew as been big help. We would recommend him to everyone! Ms. Elsie is a wonderful person, she has patience and understanding for each person she meets. Listen and tries to her best to find that perfect place for you. -- Frank and Debbie L.
Andrew was always very prompt in responding to my inquiries even on the weekend. And if he didn't know the answer to my question, he always contacted someone to get the info I needed. I never felt that what I was asking was too insignificant for him to deal with. I would highly recommend Andrew. Nicole helped find the perfect home for my family. We were first time home buyers and needed a lot of guidance along the way. Nicole was always there to answer any questions we had. Nicole was also very knowledgable about the housing market in our area. She made what seemed like a daunting task into a smooth and easy transaction for us. I couldn't have asked for more in a realtor and I would highly recommend Nicole to anybody in the market for a home. Julie was a pleasure to work with! Julie was a pleasure to work with! I have already recommended her to friends and relatives. She always went above and beyond my expectations. From delivering her first proposal to list along with the study of comparables in the area (which only took 1 day!) to the sale, her communications with me were always prompt, whether answering my questions or providing updates on the frequest showings. Since I was selling the house while I was in another state, I could always count on her to meet workmen at the house for necessary repairs or maintenance. She even went in after the sale and retrieved my cable boxes for return to the cable company! Her friendly, professional attitude coupled with her willingness to help and knowledge of the area contributed to making a quick sale and one VERY happy customer! We were relocating from Arizona and did not know where to begin to find a realtor in Florida. Our Arizona realtor researched and found Jennifer. We could not have been luckier. She was a home buyers dream. We had one week to find our home. We supplied her with all our wants and she found us our retirement home the first day. She handled all of our transactions via long distance and if something wasn't going right, we never knew. She was on top of it all and made home buying the least stressful part of our move to Florida. After getting here she was a wealth of information from landscapers to plumbers. She is an amazing realtor and I am so thankful we found her. If you want someone who will go above and beyond, Jennifer Harper is definitely the realtor for you. 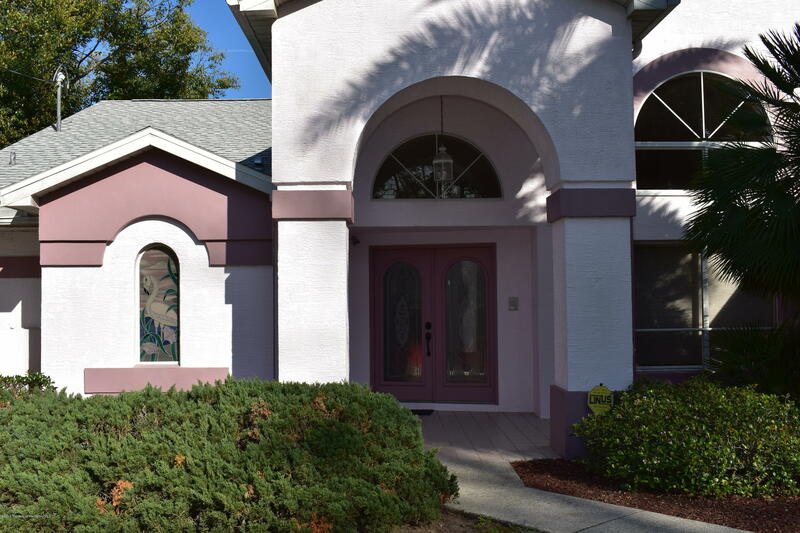 We were looking to purchase a home in Florida while still living in Minnesota .We came to Florida to initially look for a few days at areas of interest and Donna was extremely helpful at showing us various areas and had a lot of knowledge to share of the areas. We returned to Minnesota and started to look online at homes 6 months later when we were ready to make the move.We sent on the ones of interest to us and Donna was great at looking into them and getting additional information for us. When we came back to purchase something, she showed us multiple homes and was a huge help in making a decision. We did the closing back in Minnesota and she was great in doing the walk thru for us, taking pictures,etc. She even came to the house after the closing and before we moved to check on the house and the plants. Donna went above and beyond to help us find our home and make the move as easy as possible,not to mention the laughs we shared along the way! We would highly recommend her to anyone looking to purchase a home. 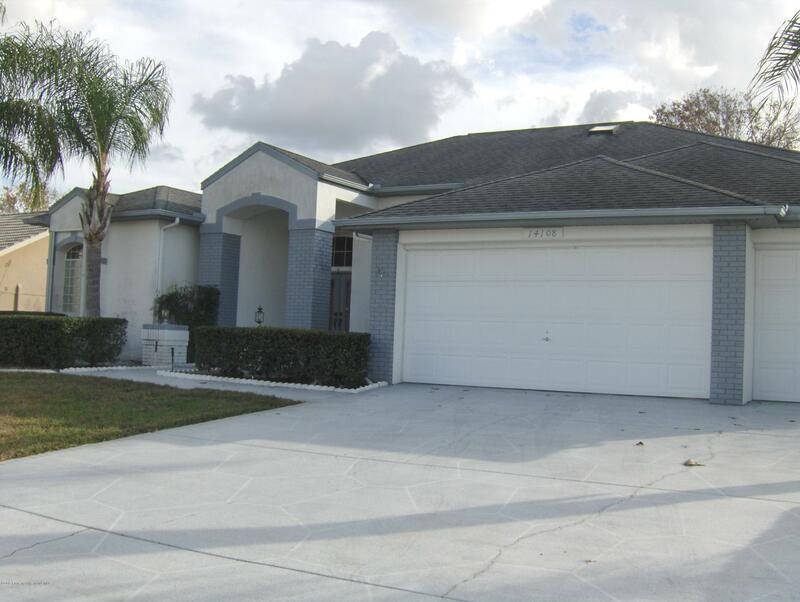 -- Linda and Jim C.
In a 3 month period, we dealt w/22 different agents in various areas of Fl. Being from Fl, we know a lot about the State. Some agents never called back after giving them the "dream list". Some agents "hung in" for 2 wks, pushing areas that we specifically had said "no", to. We were doing all the research on our own. When Doug came into the scene, w/our first meeting, we KNEW we had a professional. We are both experienced in sales, and we read the same logic and diligence w/Doug. He took charge & did not waiver. W/respect & humor, he stayed w/us. Our highest recommendation lands on the spot, that Doug Lindsey now holds for us. -- Jerry and Sue I. We enjoyed working with Andrew to purchase our new home. He listened to what we wanted and showed us homes that fit our wants and must haves. We ended up finding a home on our first day with all our wants!!! Andrew was good to communicate with since we were moving from out of state. I highly recommend Andrew if you are looking to buy a house. -- William and Susanne P.
Donna helped me with the sale of and my purchase. We closed on both homes the same day and the experience for what is usually a stressful time was made easy. She was available at all times when I needed her. Quick to respond. I will/would recommend her to everyone!! Thanks Donna for making the experience and process a pleasant one..
We have been buying and selling real estate for the past 30+ years. At present we are working with 5 different property management companies in Hawaii, so we can say with confidence that Donna Warwick is exceptional. With her knowledge and guidance we had our house sold in a timely manner and at a price point we were pleased with. Being so far away its very important to work with people you can trust and Donna was just that. We are looking forward to asking her to help us again! -- Harry and Paula S.
I had the pleasure of using Donna for both the purchase and sale of my home. I couldn't have asked for a better agent. She was easy to communicate with, quick, always available and listened to all of our requests. During the sale of my home there were some very unfavorable situations that arose from an emotional split. Donna was ever so patient and understanding and never gave up on helping me out. Where many other agents would have probably thrown the towel in, Donna stayed professional and dedicated. If it wasn't for her I am not sure if we would have ever been able to get our house sold. Donna is a unique individual, adaptable to any personality and situation which is priceless in this industry. I highly recommend her for your real estate needs! Donna has been my representive in buying and selling my houses. Her professionalism has always been to help me in all my real estate needs. On a grade of 1-10, with 10 being the highest score , I give Donna a 10. Having been in the mortgage industry for over 15 years, I have worked with some really good realtors and some not so good. Donna is the best of the best - I have never worked with a realtor who had more dedication and tireless devotion to her clients throughout the buying process and well beyond. She is a godsend to work with from a mortgage lending standpoint. If and when challenges arise - she is the ultimate professional and her "get it done" mentality has saved and helped ensure the closure of several difficult transactions. I wish she was the agent I worked with on every transaction. Thanks! Donna was extremely helpful ftom the very beginning. Donna was amazing! We would recommend her to anyone. She spent countless hours doing research for us and showing us all around from Orlando to Ocala to Brooksville and Spring Hill, never losing patience with us during our month or looking. She was always there via phone, text or email and showed an amazing work ethic and professionalism while being very supportive. We are pleased to take this opportunity to recommend an excellent Realtor, Donna Warwick, to anyone who needs assistance in their home buying.The service we received from Donna was exceptional! We could not have asked for a better Realtor to guide us through the process. She was extremely attentive and always responsive when we had questions or wanted to see different homes. She is an extremely hard worker and will do anything it takes to make sure his clients are happy! "The communication, professionalism and efficiency throughout the whole process was above and beyond and because of her, we are now proud homeowners. -- Nancy and Israel D. S.
I am extremely pleased with my experience. Elsie was very knowledgable, professional and supportive. She help me every step of the way. She is also kind and very easy to talk to. I will certainly recommend her. Elsie was amazing, made the process fun and just an overall amazing experience !!! We interviewed 4 agents, all but one truly listened to our needs and was completely honest! The other 3 all low-balled our ideal suggested price and could NOT make a promise to anything. They just wanted a low-ball price and make a fast sale to add to their own list. Andrew Dickinson, promised to sell the house within a reasonable time at our suggested price. He was extremely honest and went out of his way to help us!!! He wasn't in it just for his commission, Andrew wanted to TRULY help us get the house sold as soon as possible due to our situation. He is an Honest-Professional and Friendly person who is there to help his clients! This is what happened, do you know any one Realtor who can promise to sell your home at your price within your time frame? Andrew did just that for us. He came out to see us for his interview and to get to know us first before even looking at the house. We knew he was the one PERSON that was in this situation for us, not just for his commission. We hired him to sell our home. He came the next day to take pictures, explained everything to us about the Florida rules and regulations in selling the home, again, to verify that we knew and understood completely (we live out-of-state) the home is in Florida. As soon as Andrew took the pictures of the home, he placed them up on the MLS before 24 hours. He SOLD our home in 23 hours after the MLS listing was posted! Full Price, Cash Offer and even improved the closing! This was amazing and so is Andrew Dickinson! You will find Andrew that way too!!! Hire him to find you your new home and/or to sell your home. -- Ken and Sheri M.
Andrew did a fantastic job finding the right house. He was very helpful and patient with us. We would recommend him to anyone looking to buy or sell. My wife and I are very thankful that we found Pepper Greenwell, We had looked at a couple of homes with another realtor but that realtor didn't really seem to care about our needs. We were moving from Ohio and saw a house we were interested in, instead of just sending a generic request for a realtor my wife called the realtor company directly and got Pepper. What a difference. Pepper is awesome. She constantly kept us informed and helped us to get our new home. We received updates and information we needed to insure that the home didn't slip away from us and anytime, and I mean anytime, we tried to contact her we got a response. She really seams to love her job and helping people find there new home. She has even contacted us since our move to see how we are doing. If you need a realtor I don;t believe you could find anyone else that would work harder for you and really care about what happens. Our experience with Julie was flawless. Selling a home is daunting, especially the first time. From the moment we met Julie we were impressed with her professionalism and made at ease by her friendliness. She really views herself as part of the team. One of the things we appreciated most was how clearly and regularly she communicated with us. We always knew what was going on and why. She made a complicated process as smooth as it could be. You will not be disappointed. Top notch agent all the way! We love you Julie! Thanks so much! -- Keiron and Amber . Julie Ludivico was an excellent agent who represented us well. She was always available and so professional!!! Our home was listed and sold within one month. Julie guided us through the whole process and I would definitely recommend her as an agent! I personally had reservations with selling out home in Florida and being out of state. Julie put my worries to rest as to the whole ordeal was so simple and she always addressed our concerns right away. Thank you Julie for making the process "stress free". GREAT JOB!! We were lucky enough to have Julie Ludovico as our realtor. We are from out of state and needed a lot of guidance maneuvering through the home buying process in Florida and Julie was there to answer all our questions- regardless of the time...she is the consummate real estate agent!!! Beyond all her knowledge, she is extremely pleasant to work with. We highly recommend her!!! -- George & Nancy T.
I would recommend Bruce to anyone that needs a mortgage broker. Bruce made me feel like I was his main priority, every question I had he answered with no problem. He was on top of everything, took importance on having all the paper work we needed to close. Thank you Bruce! We really appreciated Elsie's professionalism and dedication towards the selling of our dads home in Florida. She did a wonderful job and great communication. We would recommend her highly! Elsie did a fantastic job for us. We were living in NC and she had to be our liason since we could not be here. Everything went extremely smoothly and moved along very quickly. All our family and friends commented to us that they couldn't believe how fast it all came down. Thank you again, Elsie, for finding our new home, in such a great community - Wellington Hills. Who knows we may have referrals for you very soon!! -- Nila and Joe G.
We have sold a few properties in the past and with this one it really opened our eyes as to how important it is to have an agent that is both knowledgeable and has years of experience in real estate. Elsie provided regular updates on the progress of the sale of our home when things seem to be stalling out and never left us sitting there wondering what was going on. Communication is very important to anyone buying or selling home. Even when the sale was completed Elsie was still happily available to answer any questions & help solve any other problems. This was our 2nd time we chose Elsie and Julie as our real estate agents and would do so again. -- James & Anne T.
Andrew was very helpful in finding out house. He was timely and able to answer all my questions. Julie performed above and beyond any of our expectations to ensure we could sell the home. We could not be more pleased with the way she handled the "regular" things that must be done to sell a home but even more she took care of so may "other" issues that would have been difficult for us to handle since we were not in the local area. Without hesitation she went into action to take care of issues that needed to be handled. Also, she was able to give us good advice on what we must do and what was best for our interests.There is no one better to list with. I usually don't do testimonials, but I have to let everyone know about an angel that was sent my way. A few months ago I decided to buy a home. The first agent that was assigned to me by USAA from another company was horrible, then I was assigned to Julie Ludovico. She was and still is my angel. She was so wonderful, professional, caring and very knowledgeable about buying homes. I was so afraid and confused with the process, but Julie made my experience very easy and less stressful. I would not trade her for anything in the world. I recommend her to anyone who is trying to buy a home. She was there every step of the way, if I needed to just vent about anything she was always there. Julie is irreplaceable. Tropic Shores has their diamond in the rough and need to make sure they keep her. She is a winner in every sense of the word. Thank you Julie for your kindness and your professionalism. If I ever decide to buy another home you will be the only one that I will call, because I trust you and know you will have my best interest at heart. Thank you again for just being you!! Julie has been "the dream " realtor ! She is the consummate professional !Without hesitation we would recommend Julie if you are selling or buying !Have an AIRBORNE day ! Elsie was awesome. She took me around to numerous houses, provided me great feedback on houses and locations, and put up with my many requests to revisit homes before I made my final decision. Her assistance during the closing process was invaluable. I really felt she cared about making sure I found the right house for me. Denise was very professional and knowledgeable, she was always available when we needed her and helpful in answering any questions we had. I will recommend her to anyone I know who is looking for a home to buy. As an out of town attourney, I really appreciated their courteous and proffessional manner. They were easy to reach, responded quickly and went the extra mile toget this difficult vacant property sold faster than I expected. I will be using their services again. I highly recommend Denise for any real estate transaction. She took her time with my family through the entire process. Any time that I texted or called her she responded very quickly. During my closing Denise really looked out for me and asked questions to make sure my transaction was correct. I have worked with other realtors before when purchasing a home but none of them made me feel like they were on my side like Denise. God bless this young lady whom I know will go far in her career. I'm thankful that I was introduced to this amazing young lady. From the moment I met Julie, she impressed me with her professionalism and knowledge of the local real estate market. She provided direction on preparing my home for sale and kept me informed throughout the sale process. I have sold other homes in the past and this was the best experience of all. I would highly recommend Julie to anyone needing a professional and personable agent. We worked with Elsie and Julie to purchase our new horse farm in early 2014, as well as sell my partner's horse farm a few months ago. Both Elsie and Julie are wonderful to work with. They sure know their stuff and do a great job guiding you step by step through the buying and selling process, which has become very difficult. They also do an outstanding job providing multiple options for a given situation, as well as coming up with creative solutions to complicated issues. They do a great job keeping in touch through the entire process and are always available by phone, email, or text messages. They are the best, and I would highly recommend listing with Elsie and Julie or having them help you find your dream home/property! Just thinking about selling my Spring Hill home in order to downsize and get on with my life was daunting. I happened to check my local realtors and decided on Tropic Shores Realty.. There were many realtors to choose from. I chose Julie Ludovico and her silent partner, Elsie Kempsey.. From the beginning of our partnership I knew I was in good hands.. Julie was well-informed, positive and always available to help make the process smooth.. My home sold in a surprisingly short time and my downsizing goal was well on its way. Thank you both, Julie and Elsie! Whether it be buying or selling a home, Julie is amazing! She is the ultimate professional, knowledgeable and competent, and her warm and caring demeanor lets you know she has your best interests at heart. When I called Julie after deciding to downsize, she was extremely attentive to detail and committed herself to finding exactly the right place for me. Her knowledge of the market along with her hard work soon led to my buying a home perfectly suited for me, as well as being in a great location. Julie has now recently sold my old home, situated on five acres in a rural area. Once again, she remained dedicated, determined and precise, working tirelessly with me every step of the way. Her positive attitude and encouragement, as well as her enthusiasm, gave me a tremendous boost and certainly made things less stressful. I also had the very good fortune of this country home selling in just over ten weeks, and she even came up with a cash buyer! It is with gratitude that I acknowledge what a great pleasure it's been to work with Julie. She is an agent who really cares about her clients. I will continue to recommend her without reservation, to anyone needing a realtor. Thanks again,Julie, you are indeed my friend. I just wanted to take this opportunity to provide feedback on my house buying experience with my agent Julie Ludovico. This was my second time in the last year buying a house with her assistance and I could not have been more pleased with her! While searching for this new house, I was going through an extremely stressful personal situation and she went above and beyond to make this process as easy as possible. She was constantly putting my needs first during the entire process and as a result of her hard work and dedication, she helped me locate and purchase the house of my dreams. I could not be more thankful that I had such a great person to help me in my time of need. She is not only a consumate professional, but she is also an extremely friendly person and willing to do whatever it takes to lend a helping hand. Whether it be in buying or selling a home, Julie Ludovico is amazing! When I decided it was time to downsize, Julie's hard work, commitment and guidance led me to buy a new home that suited me perfectly. I very recently closed on the sale of my old home and throughout the process of finding a buyer, she remained just as dedicated and precise... and I even ended up with a cash buyer! She is, without a doubt the ultimate professional, knowledgeable and competent, and her warm and caring demeanor lets you know she is an agent who will be attentive to all your needs. I most definitely will continue to recommend her without hesitation to anyone needing a realtor. She is the very best! Thank you again, Julie... I am grateful you were my realtor, and you are indeed my friend! Elsie did a wonderful job from start to finish. She was very patient during our home search and knowledgeable regarding information on specific homes. She offered experienced advice that was invaluable. Elsie was outstanding at keeping us up to date throughout the entire process. I highly recommend anyone needing the services of a thoughtful, experienced realtor you would be making a mistake not to choose Elsie!! I feel Honored to have had Julie Ludovico help me in my home purchase. She made me feel completely confident with her knowledge of the area and her suggestions of what might be the best choice for my circumstances . She turned what could have otherwise been a very stressful time into a calm and sometimes humorous experience, always being both respectful and professional . Who knew that my home purchase would introduce me to a friend ! Thank You, Julie! After several dead ends with an agent at Keller Williams, I was trying to accept that we were going back to TN again without buying a home. We contacted and met Sana at a property she had listed and signed a contract that same day (March 15, 2014). She brought us back the contract with the owners signature the next day, Sunday. We told her we already scheduled flight back to TN and needed to close ASAP. She made it happen, we closed on our house March 19, 2014. We went back home to TN the next day, packed a Penske truck and headed to our new home. It's been over a year now and we really think that no house we looked at could have been better for us. We love it and are so thankful it all happened like it did. Thank you so much. -- Randy and Martha J.
Elsie and her team did a great job facilitating the sale of our home. Excellent communication as to what was happening and what we needed to do. Really followed through in a timely and efficient manner. She was a pleasure to work with and would highly recommend her to anyone else in need of an agent. Elsie was very professional and so helpful during the listing time, also she maintains close contact at all times with lots of updates. Julie Ludovico-a wonderful super warm very personable lady, who took care of every detail making the transaction very smooth. Not only did she made sure that the sale of the house went well, she would check on our Mom from time to time when she was by herself staying in Florida. Super Lady. I had wonderful experience working with Julie. She not only took care of all the details with selling the house but also stop at the house to check on my Mom, who was by herself at that time. I would recommend Her any time, She is very personable went out of her way to accommodate and made sure that all parties were happy. I feel very lucky to have had Julie on our side. Selling my Mom's house was a very emotional process for me, but she was there every step of the way. I would highly recommend Julie to anyone selling or buying a house. She will take very good care of you. She is very professional, caring and very patient.If we ever decide to move to Florida, I will definately call on Julie.Thank you Julie for everything. Elsie went above and beyond to help me sell my home. I appreciate everything she did! Searching for just the right home is not an easy task, and having an agent who is extremely knowledgeable of the market is a must. I consider myself very fortunate in having Julie Ludovico as my realtor because she unfailingly showed me homes that offered what I was looking for and that also fell within my price range. She listened carefully to my needs, then followed through and pointed out properties she thought were suitable as well as those I selected to view. Julie is competent, friendly, puts you at ease, and does all she can to make home shopping a pleasurable experience. She makes herself available when you need her, and I'm happy to say we found my home in a relatively short time, and am looking forward to getting settled in soon. I hold her in high esteem and would recommend her without hesitation to anyone searching for real estate. Tropic Shores Realty is lucky to have an agent of her caliber. Julie went above and beyond in helping me sell my fathers home. I am so grateful I called her. She is a kind wonderful person who truly loves her work and other people! It took a long time to sell and she never gave up and was positive and supportive. I have bought and sold several homes in several states. Julie is by far the best agent I have ever come across including myself as I was one. Thank you to Julie and Elsie for a job well done! -- Alaric and Shanna A.
Julie and Elsie were OUTSTANDING! It was my first time as a home buyer and things weren't going so smooth with the financing part as we'd hoped for, but Julie and Elsie did everything they could've done on their part to try to help. I got new listings every day. If they sent me a listing in the AM they had no problem showing me the house on the same day. I'm very grateful for both of them. They not only find you listings they also do deep searches to make sure that it is a good home. Being a first time home buyer, I had many questions and there was never a time that I had to wait for an answer or wait on them for anything else, period. They truly go Above and Beyond! The best thing I can say is that they didn't make me feel like a client, they made me feel like family and honestly when you are so stressed about everything else that is the one thing that you need. I highly recommend both of them!Thank you so much for making my dream of being a home owner come true! -- Sandy and James B.
I am not sure how I was lucky enough to find Elsie, but she has truly been a blessing for me. I am moving from Oklahoma City and unfortunately time was very limited. Elsie listened to me, sent me many homes to look at over the internet and generally did my searches for me. I had one day to look and try and find a home. Elsie in spite of being busy, knowing that I only had a day spent the entire day with me making sure we covered everything that I had requested. Not only once, but twice. Since I had to go back to Oklahoma, she has gone above and beyond what I would expect from anyone in helping me close on our home. I never once had to ask, she just did it. If you want someone that will give you an exceptional customer service experience, I would highly recommend Elsie and her team. Thank you, you have been amazing!!! My partner and I originally lived in the U.K , we corresponded via e-mail with Robin, who viewed a number of houses in our absence, in order to create a shortlist. Robin kept us regularly updated and explained the pros and cons of each property.In our first week in America, Robin had kindly put 2 days aside to focus on our search, we viewed a number of properties, finding the perfect home on the 1st day!Robin liased with us and the owner, and explained the whole process clearly and simply, holding our hand through every step.We were so fortunate to find an agent who cares about their clients, I cannot recommend Robin highly enough. I recently relocated to Florida from Pennsylvania and after being here for a year, I reached out to different real estate agents around Spring Hill, Florida and was so upset with the personalities of them...UNTIL I FOUND DENISE! Denise went ABOVE AND BEYOND helping me find my first home. She accommodated my work schedule and helped me find my first home! From beginning to end Denise was by my side and I AM SO THANKFUL that i found her!! I HIGHLY recommend her to anyone who is looking to buy or sell a home!! DENISE YOU ARE THE BEST!!! Being a first time home buyer, I wasn't sure what all it entailed. Denise was so helpful throughout the whole process. We had a few set backs, but it didn't deter her and she kept pushing until we finally closed. She found us a beautiful home. If any friend or family member ever is looking for a house, we would recommend Denise. She is a ray of sunshine. We are very pleased with the agent's service. Elsie was so nice and helpful from the beginning to the end. She asked me what I was looking for and when she showed me the houses; she knew what I wanted. She worked with us all through the buying process. She's an "angel". Thank you Elsie! -- Angel and Maria L.
As a first time home buyer I was very nervous about the whole home buying process. Elsie made it so easy. She was very aggressive when it came talking to the mortgage company, she was on top of everything. She made us feel like she was family. I couldn't ask for a better realtor. Thank you Elsie! 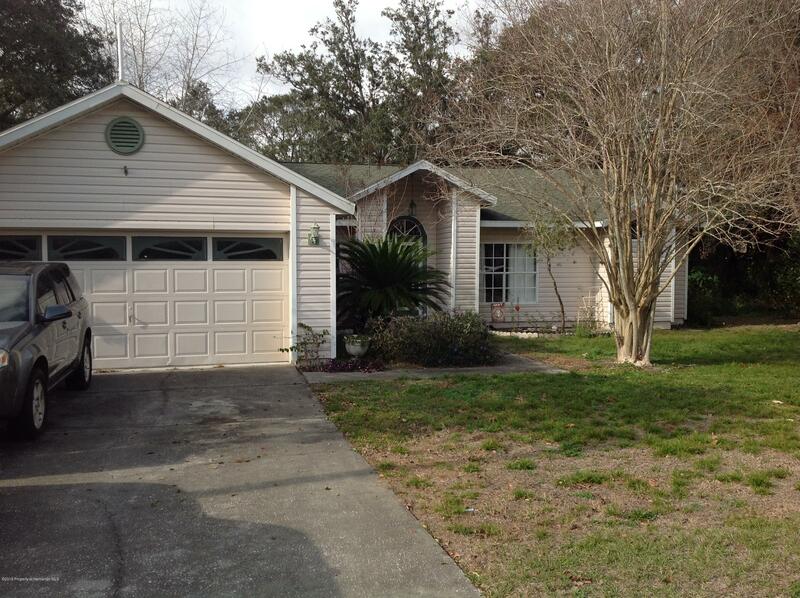 I just recently purchased a home in Brooksville, FL with the help of Julie Ludovico with Tropic Shores Realty. From the very beginning to the very end, she was extremely helpful and worked tirelessly to make sure that the home buying process went as smoothly as possible. I cannot say enough good things about how much I enjoyed working with her in the purchase of my new home. I would highly recommend her for anyone thinking of buying a home in the future!!! Our agent was very nice and patient with us. It can be stressful when you are an out of state buyer. Most all the other agents would never return my calls once they found out we were out of the state. Elsie even had a local map she gave me when I couldn't find one. We are very happy with our new home. 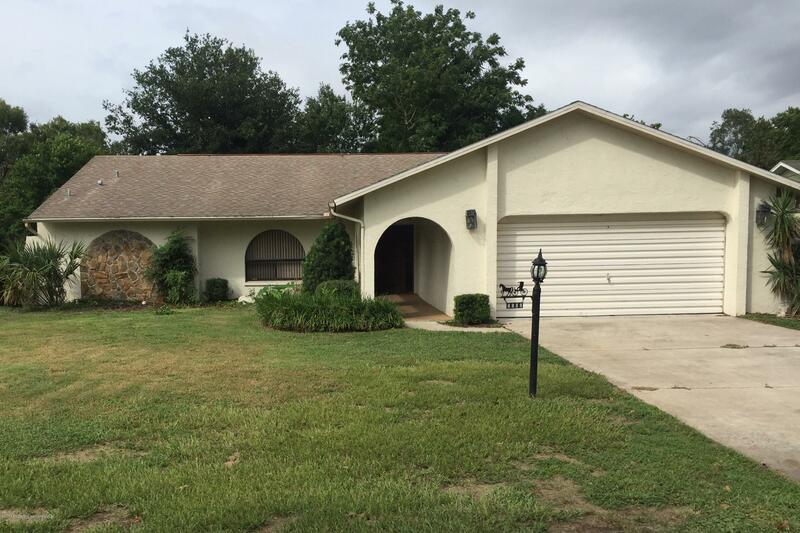 -- Glenn and Diane P.
I worked with Julie for several months looking for a home in the Spring Hill area. When we found the house that I ended up purchasing, there were lots of questions, especially since I moved there from a different part of the state. Julie was always prompt in her responses to my many questions and I found her to be a great source for information. She is very professional, great to work with, has a good sense of humor and clearly knows the real estate business. If I buy or sell a home again, Julie is the one I will call first. Julie was amazing! She helped me find what I was looking for and was with me every step of the way! I ran into problems with the seller, but Julie worked things out and made it so much less stressful then it could of been. She was constantly in contact with me so I knew what was going on from beginning until after closing. THANKS JULIE! Thanks to the efforts of the Lodivico/Kempsey team, our Spring Hill home was sold in 15 days at a price above list, with a closing a few weeks later. Bravo and thanks to both ladies. Julie and Elsie were wonderful agents to work with. Moving form NY to Florida,they were on top everything making sure the process went smoothly. Julie and Elsie are professional, knowledgeable and very attentive real estate agents. Whin I had a question or concern they were right on top of taking care of things. It was a was a great experience working with Julie and Elsie! I would highly recommend them. Thank you so very much Julie and Elsie!! Thank you Julie and Elsie on the great job you did for us in buying our beautiful home in Spring Hill! While living in NY and buying a house in Florida can sound like a stressful situation, the two of you were fantastic in handling everything for us. We were so very fortunate to have you guiding us through this process and assisting us every step of the way. Julie and Elsie we thank you both from the bottom of our hearts for everything!!! Elsie and Julie were great to work with and very professional. Living in New York and buying a home through a short sale was complicated, but Elsie and Julie were right on top of everything. We could not have had better team helping us. We highly recommend them! Elsie and Julie are a great team and are wonderful real estate agents to work with. 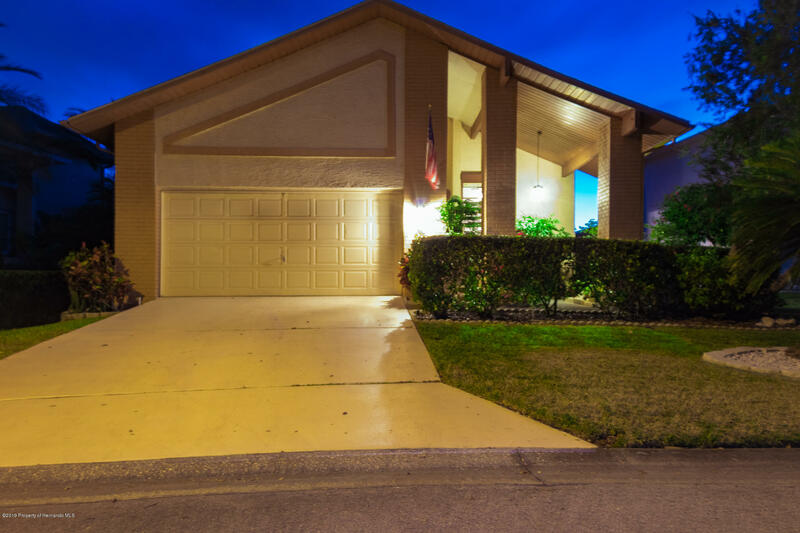 They did a professional job, handling everything from arranging financing, inspections, and finally the closing. I would definitely recommend them as they are experts in their field! I had challenging demands to find the perfect home at the right price while out of state. Julie made it happened in the required time frame no matter what obstacle put in front of her. Julie kept me informed all the way and to the time to call and explain things when I needed her. Classy and profesional lady, can recommend her enough. We had a wonderful selling experience with Julie as our realtor. Her knowledge and personality is second to none. We honestly couldn't have made it through our sell and move without Julie's help. She definitely went above and beyond for us. Thank you! 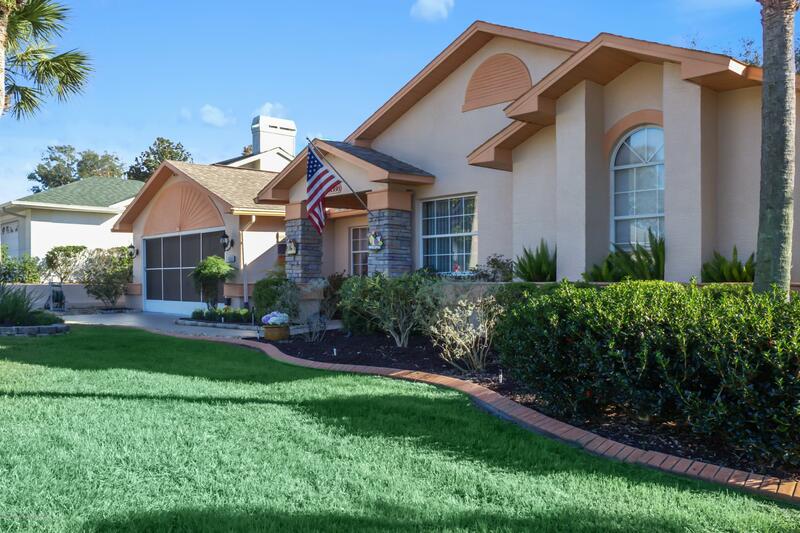 -- Sandy and Larry W.
Elsie and Julie are true professionals and impressive from our initial market analysis meeting, house showings, contract negotiations to final closing. Communication was excellent, positive and extremely timely. I highly recommend Elsie and Julie for your real estate needs! -- Tom and Cathy W.
Having dealt with many realtors in the past, I would rate Elsie far above any I have ever worked with. Elsie goes out of her way for her clients, and is available day or night. I know I would not hesitate to recommend her to anyone. She is a superb asset to your company. -- Sherry Adler/Richard Whitford . Julie was very professional and attentive to all my needs. I am very happy with her professionalism from start to finish with selling my home. We were recommended to Julie Ludovico by a friend. We are so happy that Julie came into our lives. 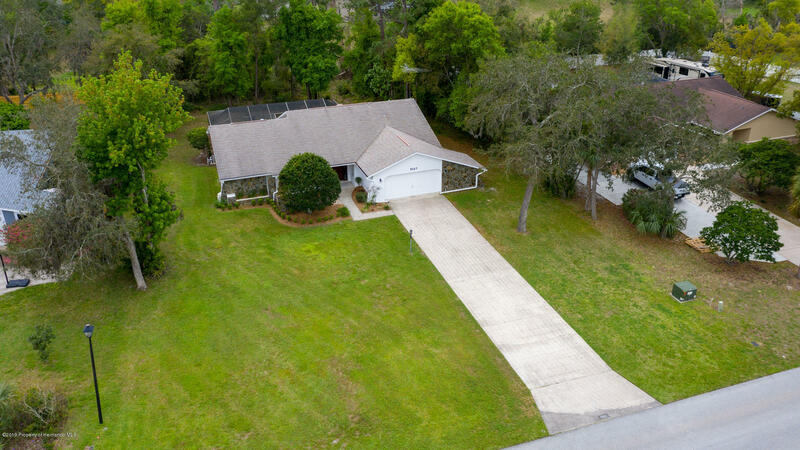 We had decided to downsize and sell our home in Brooksville. Julie's bubbly personality was so loving, caring and sweet. The professional way she handled the Listing, prospective clients, the selling Realtor and the sale of our home. Julie was wonderful to work with and has extended a hand of friendship to us. We would highly recommend Julie to our friends. Thanks, Julie for a job well done. -- Joseph and Joyce C.
Julie Ludovico is the most patient and kindest Realtor I have ever worked with. Her personality and positive attitude towards things is phenomenal and working with her was a joy. Thanks to Julie, I have a wonderful house that I absolutely love. I honestly think she does her job excellently with a determined, eager outlook. In fact, when I bought my new home, she sold my old one in a minimum of two weeks. Julie Ludovico is an astounding person and without her, I wouldn't have my dream house I have now. If you're looking for a house to buy or sell, Julie Ludovico is the Realtor you want. Elsie did a great job finding perspective homes that met my needs. Then once I found a home, she was instrumental in getting all the various parties in line to get to closing. Thanks Elsie! Elsie did a fantastic job compiling a list of houses which gave us a lot to choose from. She kept us up-to-date during the negotiation and closing procedures which allowed us to focus on the move itself. I will certainly recommend her as well as Tropic Shores Realty to all of my friends. Thank you! As a homewoner located a continent away from the property being sold, it was impossible for me to accomplish the many things neccessary to make the listed property marketable and compliant with lender requirements. Julie Ludovico went way beyond reasonable expectations and performed services as no other agent could. I am not sure we would have sold this property with anyone else. She is a superstar! Julie was great! She made the process of buying a home for us so easy and smooth that we did not even realize when we started and when we finished. She was knew all the houses that we saw and helped us answer any questions we had about them. And trust me, we were not the easiest of buyers. With a 3 year old and wierd job schedules, she was always accommodating to our needs. We recommended her to our friends and they found their dream home as well! We will surely recommend Julie to any one else. Julie was most pleasant and helpful in every way possible. I was buying from long distance and Julie went out of her way to accommodate my every request, and made the transaction as easy as possible. I would gladly work with her again and it will be my pleasure to recommend her to as many potential customers as possible. -- Alan Downey/Susan Thompson . Being retired military this was our last and final move to be next to family. Julie was great working with us to make sure we got the house that fits our needs and dreams and was still near our family. She went above an beyond to work our closing details. Best move we have had. -- CSM George and Hildegard E.
We really love our new home. Julie was extremely helpful in the buying process. She and her crew were always available for our questions. They are all very professional. Elsie passed all my 'tests' when it comes to a real estate professional: she responded promptly when I solicited her for help in selling my mother-in-law's home; she confirmed our listing appointment and showed up a few minutes early (she couldn't have known that being late is my biggest pet peeve); she was appropriately respectful in dealing with my husband and his siblings over the loss of their mother and in her market analysis of the home; she was genuine and professional; and came across as confident and knowledgeable. It's a bonus that she was funny and just perfectly 'normal' and genuine. She helped us price the home where it should be without any false or unreasonable expectations. We had multiple offers and sold immediately! We closed without issue with her following up until the paperwork was signed and we were on our way. I can't say enough about how much I appreciate how well this went from start to finish. Such an emotional sale with my in-laws in the home for over 20 years, but Elsie just made it so easy for us. Thank you, thank you, thank you. -- Lee and Debby H.
This was sale of a piece of unimproved land. Though the sale was small by normal real estate standards, Elsie and Julie worked hard and aggressively on it, and got the job done. When I emailed a question about it, they were always quick to get back to me, and when we ran into a problem right at the end because of something I'd forgotten to do, they hung in there with me and helped me get through it to a successful conclusion. I'd be happy to use them again if I had another transaction in the area. Thanks, ladies. Julie did a wonderful job for us. She was very informative and helpful in our move out-of-state to Brooksville, FL. We couldn't have asked for a better agent. We loved the fact that she kept in contact with us and was very efficient in answering our questions and helping with other important items needed for our closing on our property. She worked hard for us and she should be commended for a job well done. What a great lady!! 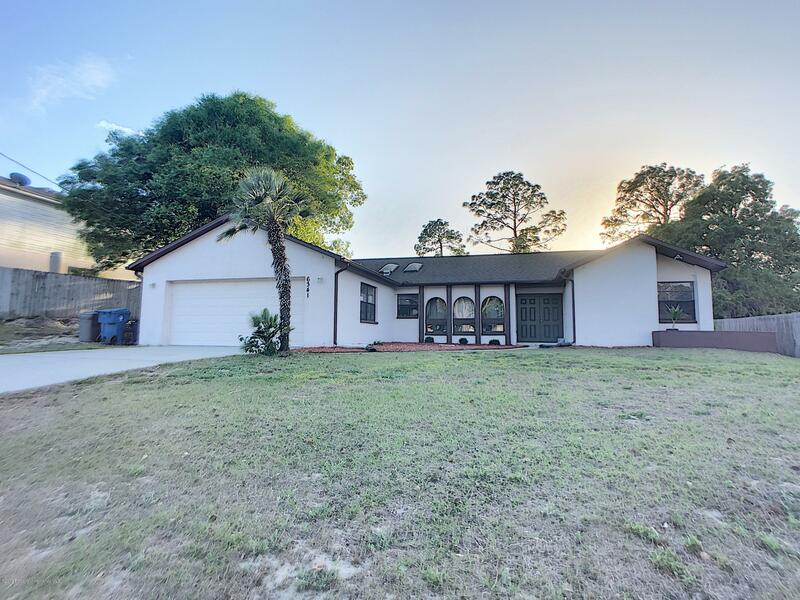 -- Rich and Lu Ann V.
I would like to thank Elsie for all of her help on finding us the house in Weeki Wachee.She put in a lot of hours just trying to find a place that we would like to call home.Even when things didn't seam like it was going to happen she came through for us. I would use her over and over again as my agent. I think she is an outstanding and warm person and a great Agent! -- Jimmy and Barbara B.
I love Julie, not only is she sweet and hysterical, but a true professional. She put up with me which says alot and never made me feel bad when I would just "lose it!!". Buying a house is stressful enough but during the holidays was a nightmare. I recommend her and will certainly use her services again. Just keep her away from spiders and bugs, unless you want a laugh. Thanks so much Julie, you are the best!!! Julie is like the energizer bunny she never runs down. She stuck with us while we were looking for a house in FL from IN. She continued to send us listing even when she knew we had not sold our house up north. When the time came to buy she made time for us and worked tirelessly as we looked at lots and lots of houses. She was so patient with us as we were very picky. We finally found the the perfect house and it came with a big bonus. A new friend in Spring Hill Julie Ludovico! Elsie and Julie did a great job for us selling our mother's house. We are from way out of town, so we really needed realtors who knew the area, and they do - we had a contract on the house in a week and a half! The team was wonderful to work with, keeping us in the loop every step of the way by email and phone, and Elsie did a fantastic job working with 91 year old mom too. 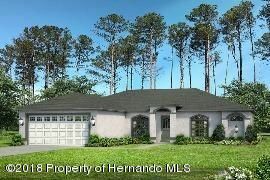 We highly recommend Team Tropic Shores Hernando to anyone selling in the Spring Hill area! -- David and Pam A. My dad passed away late August and we placed his home with Tropic Shores shortly thereafter.We live in the Chicago area so much of our dealings were long distant. Elsie sold my Dads home in two months in a tough housing market. She was amazingly responsive to all our needs from getting bids for a new roof,and helping manage the process, to providing ideas on how to handle the homes contents. She was an absolute pleasure to work with, always upbeat and very knowledgeable about her profession. I really don't think we could have chosen better professionals to work with than Elsie and Tropic Shores - Thank You Again! 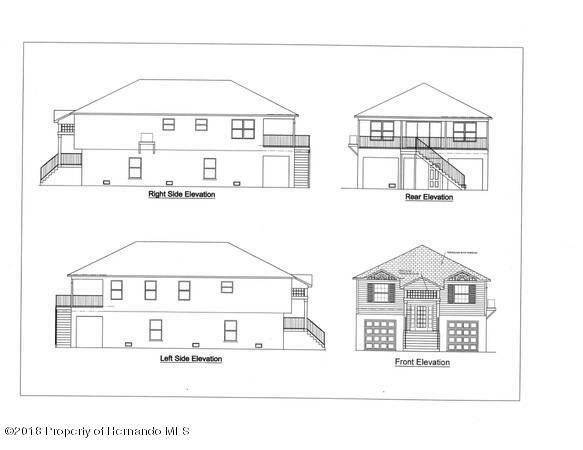 We purchased land in Brooksville in addition to purchasing a house in Homosassa. Julie and her partner Elsie were great. They were a pleasure to work with. They were both very focused on our real estate needs along with being organized and so helpful through the whole process. We couldn't ask for better service. Thank you both for all your help. We have been working with Elsie for some time now, looking for houses for different relatives that are moving into the area. She is such a wonderful person! Always pleasant and knowledgeable, always readily available to show us anything we want to see. She truly has the patience of a saint dealing with us!! Any questions we have had throughout the buying process, Elsie either had the answer or found us the answer quickly! She made the whole process (from offer to closing) seamless and pleasant. We want to thank her so much for her time and patience! I found Julie very helpful and treated me with respect and courtesy. I lived in Westmont, IL and she kept me up to date on listings. She answered my questions and never lied to me regarding the condition of the house or if there were problems with sink holes. She has been a help over and above other agents from Illinois would do. She was more than an agent, she was a friend who cared that the transition to Florida would be easy. I feel that I have a friend and not only a real estate agent who I can still go to for help. Even though the purchase of a home in Spring Hill did not happen. (Due to banking issues.) You kept to your promise and represented my wife and me. I wanted to take some time and thank you for all your hard work, determination and dedication. Your sound advice and professional attitude made, what was a traumatic experience for me, so much more bearable. In my opinion, you went above and beyond the 'norm' and I will always be grateful to you for your kindness and assistance. Julie and Elsie did an amazing jon helping my fiance and I find our first home! We never had any problems and loved working with them. THANK YOU GUYS!!!!!!!! This isn't our first purchase through Tropic Shores Realty and just like before...we were very pleased! Our agent is wonderful! Would highly reccomend her to everyone looking to purchase real-estate. Not only a good agent but she has become a great friend! We have purchased and sold homes in the past where we live here in Vermont. 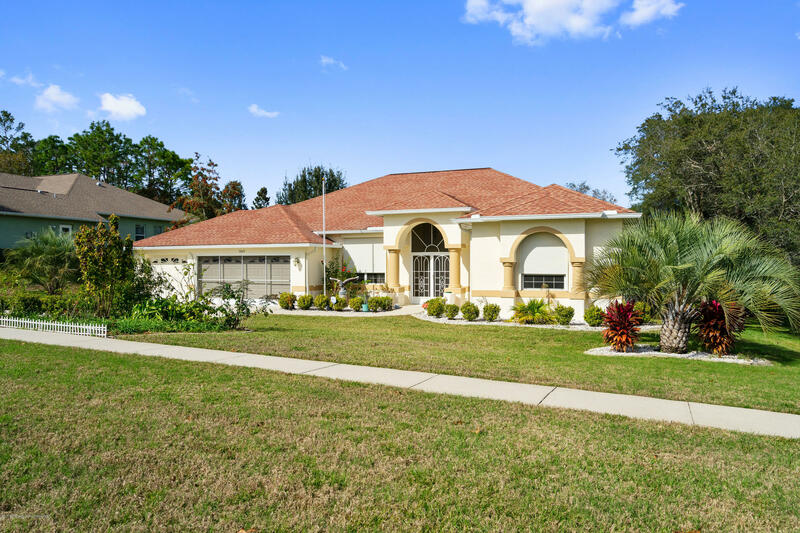 By far, the service we received throughout the entire process of purchasing a retirement home in Florida from Julie Ludovico surpasses any relationship that we've ever had with a realtor. We were faced with a very tight timeframe of 10 days in which to view houses, evaluate each against the other, and ultimately make a decision for purchase. AND we were on vacation some 200 miles south for seven of those days, so in actuality we had two days to make our future dreams come true. Julie was very knowledgeable regarding realty laws in Florida, quick to point out flaws in the houses we saw if they existed, and the happiest person we've ever seen on a Friday afternoon trying to accommodate us as we tried to cram as many showings as we could get in on the first Friday of our trip south. We actually were able to find a home that we felt was ideal, but issues with the seller on terms and costs ultimately caused the deal to fall through. Julie did all of the back and forth with the seller's rep for us while we were away on our vacation and was genuinely disappointed for us when it was clear that the seller was playing us against another potential buyer which ultimately led to the deal falling through. Undaunted, when we called to ask if she might be able to show us some more places the following Friday (on very short notice), she cleared her morning to meet with us and sent us some "possibles" the night before. Of the four she had to show us, the first was literally the house we had been dreaming about. Within hours, she was able to close on a deal to the mutual satisfaction of both us and the seller. She arranged for a home inspection, termite inspection, and a wind mitigation report (which saved us almost $250 off our home-owners insurance). But her wonderful service didn't end there. She coordinated all of the closing actions in our absence as we had already returned to Vermont. Julie met with our parents who live in Spring Hill and did a final walk through with them, called us here to report in on their findings, and was present at the closing on our behalf, and ultimately drove to our parents place to give them our new keys as we had requested. And even yet, we are still in touch as she continues to expertly answer our questions and provide documentation upon request.Without a question, Tropic Shores Realty is a one-of-a-kind realty company because they have a one-of-a-kind representative in Julie Ludovico. If you're looking for an honest, informed, and customer oriented company to choose for your next real estate transaction, then Tropic Shores should be your first call. And ask for Julie--tell them the Vermonters sent you.And P.S., we have been asked several times to go on record to speak about our experiences by vacation companies, timeshares & motels, auto dealers, etc. This is the first time we have ever responded to that request. Julie Ludovico and Tropic Shores Realty are just THAT GOOD. -- Bruce and Julie C.
Julie Ludovico served me in a most outstanding manner throughout the entire buying process of a foreclosure home - from first showing me my future home through and including the transfer of the utilities to my name. She also provided me recommendations for excellent contractors to address maintenance and repair issues. I would encourage any one interested in property in Julie's locale to choose her as their agent. Donna was GREAT!!! She really listened to what we were looking for. She stayed in the area we wanted as well as the price range. We had problems in the past with realtors telling us what "WE" wanted. Donna really paid attention and made herself available to us as much as possible. It was a long process, but we're finally in our own home. THANKS DONNA! -- Leah and Keymo . As an experienced investor, I have dealt with many agents over the few years.I have never been as pleased as I am with Pepper Greenwell .. She is the perfect combination of compromising and aggressive, and her knowledgeable advice.. Her support was a godsend in this buying process. I cannot recommend her enough to both experienced buyers for her expertise, and to first time buyers for her honesty and support! Bruce did a super job helping us to locate the right home for us. He paid careful attention to our needs and wants in order to show us homes that we might be interested in. Also, he was very helpful as we went through the purchase procedures, helping to advise us and to insure that the process went smoothly. 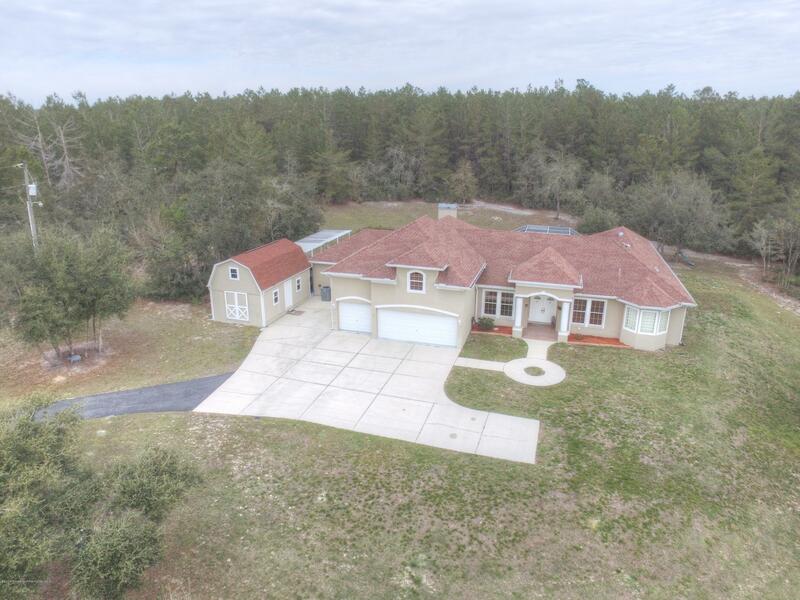 -- Steve and Rosie B.
I have bought 3 homes in my lifetime and I would like to say I have never had such a wonderful experience as I had with Marianna Sark. I was determined to find a home that had everything I wanted. And she found it for me. That woman has got the patience of Job.....not only was she patient, she was unassuming, she didn't push and was very kind. I came to Florida from Maine and she helped in every way to make the move and transition easy. There should be more agents like her who truly feel the client, and know what the client wants instead of what they can make for money. Thank you Marianna, and Tropic Shores for a great experience....I love my home. Bruce was very professional and patient showing me a variety of homes I asked to see. Even after the sale he continued to help me with anything I needed. I now consider him a friend, not just a business associate. I hope to do more transactions with him in the future, he's a pleasure to work with. I have known Donna since May 2004 when we bought our house in Spring Hill. She has an excellent grasp of the Florida real estate market, is a true professional and I would recommend her to anyone looking to buy or sell a home. When we decided to rent out our house, I contacted Donna and she was able to rent within 30 days. Bruce was our agent when we first purchased in Timber Pines in 2009. He worked as our "rental agent" to successfully find and set up the rental agreements for that property for two years. He assisted us in finding our current home in Timber Pines in 2010. And he followed up by listing and finding a buyer for our first property in 2011. He has always been responsive, creative and motivated to list and show our property. We've found him knowledgeable, accurate and positive at a time when the real estate market has been very slow. He supports events and activities in Timber Pines and is a respected member of the community. Bruce Gresh, "Mr. Tiber Pines" proved himself to be the most valuable real estate agent we have ever used. While we were trying to sell our house in Arizona, Bruce worked with us on a regular basis to make sure we were kept up to date on Timber Pines, arranging rentals for us during our visits, helping us during our purchase and ultimately the getting a mortgage and closing on our new home. He constantly went the "extra mile" for us when we needed it. We spoke to him daily during the six week period between finding a home, getting the mortgage, closing and moving in. He faxed material to our mortgage company and advised us concerning our successful effforts to obtain a VA mortgage. Without Bruce at our side we couldn't have done it. Bruce Gresh our realtor and friend without whom we would not have enjoyed the moving experience as much as we did. Thanks Bruce you are the best. -- Rand and Lila B.
Elsie was the greatest... she made the process from start to finish both easy and enjoyable...not to mention finding us a house we love. we have and will continue to refer our friends to her, and we are sure she will do as great a job for them as she did for us. -- Bob and Diane F.
Five years ago I purchased a home in Timber Pines using Bruce as my agent. He was wonderful. He knows the community extremely well, and knows the real estate business. We worked closely throughout the entire process and beyond. Once the purchase was complete, Bruce was there to help me get settled and comfortable. He is my real estate agent and friend. I Highly Recommend him for all you real estate needs. In Short, HE IS THE BEST! Donna was very helpful and made purchasing our home a pleasure. She was always available when I had a question and was very attentive to our needs. If I ever buy a house again, I will contact Donna Warwick first! Bruce did a great job in helping us to purchase our home. He was very open and honest when asked questions relating to the homes we looked at and about the community we bought into. He displayed a good sense of humor at appropriate time and had a serious side when required. His knowledge of the area homes and surrounding area is phenomonal which made our decision to purchase very easy. He was a pleasure to do business with.... and I would recommend him if asked. Bruce is an exemplary agent. He helped us prepare our house for sale. Guided us through the search and final sale of our house. All of this while we were three thousand miles away from Florida. I found him to be an active sales agent in a very poor real estate market and one who communicated well with us. -- Robert and Asdis V.
My husband and I were and continue to be very impressed with Bruce Gresh. He is extremely knowledgeable, honest, and motivated. I have recommended him to numerous friends and family members who are considering moving to Timber Pines. He is the best Real Estate Agent we have ever worked with. After months of dealing with disinterested and unreliable real estate offices and agents, I contacted Tropic Shores and was refered to Lisa Groeneveld. What a difference a motivated and knowledable agent makes! Lisa was determined to find the right home for us and succeded where others failed. I cannot overstate Lisa's tenacity and determination . Lisa is a pleasure to deal with and made the whole process enjoyable. Thanks again Lisa! In 2010 we were looking for a house to buy for our daughter. We decided to look at foreclosures and Julie was patient, showed us several houses and then helped with the negotiating, inspections, and closing. She was very prompt in returning our calls and e-mails and brought papers to the house if necessary. The process of finding a house went smoothly because of Julie and her team. We are in the process of looking for another house and Julie is our agent. -- Gerald and Marion L.
Truly a great agent to work with. Elsie is committed to providing the best realtor services in the area . Highly knowledgeable about the area market and Spring Hill make her an asset to anyone purchasing a home. Taking the time to really listen and getting to know her clients needs makes the purchase process easier. Elsie is with you every step of the way. Honesty, integrity and commitment are all qualities an agent should possess. This is why I have chosen to work with Elsie on all my real estate transactions and would recommend her to you. Best professional and friendly agent I ever worked with, and she stayed within our budget. Didn't try to sell something we couldn't afford, like some agents do. We were very happy and satisfied with her. We highly recommend her. -- Ed and Sandy B. We were new to the area and Andrew was so very helpful in showing us around and multiple homes. Because of his efforts, we were able to find the perfect home and the perfect location for us. We will always be grateful to Andrew for his professionalism, kindness and patience - he is the best! -- Ann and Jerome B. We can't say enough about how wonderful it was to work with Elsie. 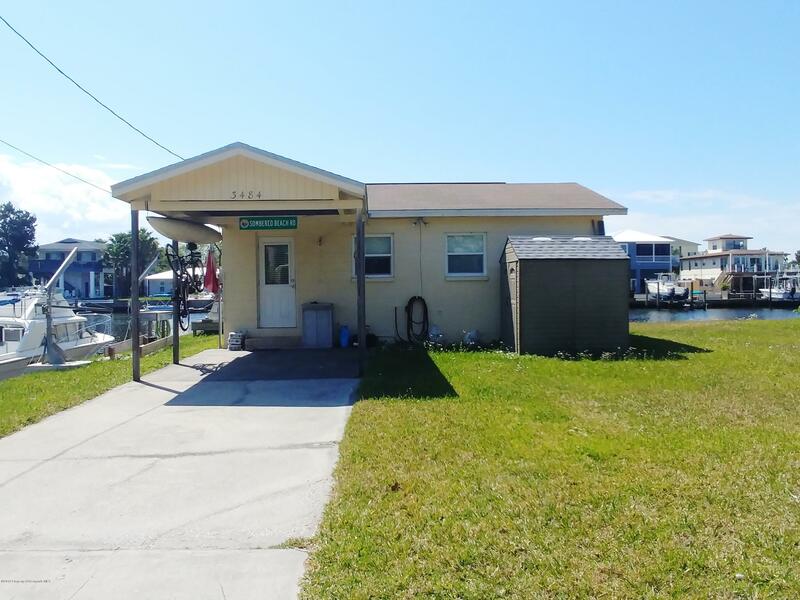 We had several setbacks in the process to purchase our home but Elsie kept working.....never giving up and we were able to purchase our beautiful home at a great price thanks to the diligence of our Tropic Shores Realty Agent, Elsie Kempsey. I have recommended her services to several other people who have asked about purchasing homes in Florida. Our experience with Elsie is that she really cares about each client and she goes beyond expectations to meet their needs. We are very grateful and thankful that Elsie enabled us to have this beautiful home. -- John and Deborah H.
We first met Elsie and Julie at a 1st time home buyer class one year ago. We were just starting out on our home buying journey and thought we were ready. Elsie became our realtor, and quickly became a friend. She stuck with us through getting denied financing, having to withdraw an offer, more contracts being out-bid than I care to recall. Through the entire process, she remained positive, always listening to what we were looking for. We looked at MANY homes, and Elsie was always quick to schedule a showing, always looking for the next option. She kept my spirits up when it got frustrating, and led us to finally find our dream home. I felt at all times that I just may be her only client, as she was always focused on us and our needs. She was informed, aggressive when we needed her to be, and our champion. We became home owners this past July, and we owe most of it to Elsie. I recommended her to other family members who have also bought homes with her assistance, and I would recommend her to absolutely anyone in need of a realtor. -- Sara and Rick C.
Elsie is the best. We purchased a home in Spring Hill in 2008 for our cousin to live in, Elsie was the agent. We live in South Carolina so most of the paper work was done over the internet. Elsie kept us informed of every move. In 2009, we wanted a second home for ourselves, again we called Elsie. I called her frequently looking at different properties I would find on the net and Elsie was so patient and kind to look at each and every one of them for us. She also would meet my brother in law to show him the house so we could be informed of the layout of the homes and the area. We finally found a home we all agreed on and piurchased our second home for us to use when we needed to get away. There is no better agent than Elsie, she goes that extra mile for you and always has a warm smile. We just Love her. -- Janice and Andrew L.
I can't say enough about Joanne, her professionalism, and her dedication to her customers/clients. We were out of state and first time home buyers. Financially we had very little to work with. The few mortgage companies that would give us a loan, wanted to split it up into 2 loans which meant additional costs and she told us that would be more costly in the long run. She made some calls and immediately hooked us up w/a mortgage company that gave us a conventional 30 year fixed rate! Even though we were still in NY waiting to move to Fl, for about 6 months she continued to email us listings so we would be prepared when we came to FL on the price fluctuation as the econonmy started to turn. Since then, we have referred several people to Joanne and she has sold their homes in a matter of weeks, even when nothing was selling! For us, there is no other realtor other than her. Joanne is a great realtor she is caring patient and very open to whatever she is always available also. JoAnne was very professional in the way she worked with us. She listened to our wants and picked out the type of house that we were looking for. I have bought through Joanne and have multiple family members that have bought and sold through Joanne! We would never go to anyone else. She is the first person we run to anytime we have a question, even if we aren't sure she is the right person to ask we know she can steer us in the right direction. Joanne is THE BEST realtor in the area, HIGHLY recommended!!! As someone who had been in the real estate industry in the past, I have chosen Joanne as my buyer's agent above all others in this county. Joanne has been a top agent for many, many years, being totally loyal, trustworthy and honest to her buyer or seller. I trust her unequivocally and fully, recommend her. Great Agent! Caring, knowledgeable, trustworthy and works hard to get the job done. Joanne LaPhan is the one you want to help you with all your housing needs. She is reliable, responsible and truly cares what your needs are and goes out there and gets them for you. She has been nothing short of a true professional. She also returns your calls immediately and responds to your emails. I moved back to Florida from out of state and Joanne made my move a pleasure and worry free. I do recommend her to everyone looking for a home. She is what you call TOPS! Of all the realtors I have ever dealt with, Joanne is the best listener and teacher. By that I mean she truly balanced what I, the client had to say with the necessary professional information that she had to share. She didn't talk over me, run circles around me or drown me in technical numbers and jargon - but she gave me the straight story and she cared. I now know her as a devoted friend and a caring and active member of the Hernando County community. This is a realtor who will get things done for you and do it with both warmth and professionalism! I recommend Joanne because she is someone you can trust and she works with you and hard for you as well...she is honest and I like that about her. She is working on your behalf and making sure that things are taken care of. I bought my first home in FL and now I am looking for another home...and I remember how Joanne worked so hard on my finding my first home. You can't go wrong when Joanne is at your side. Excellent job selling my home - went above and beyond what most realtors would! I would recommend her any day. Thanks a million! I wholeheartedly recommend JoAnne LaPhan as a realtor. She is direct, no nonense and you can 100% believe and trust every word that comes out of her mouth. I know that she is using every resource and tool in her box to get my home sold and is ALWAYS thinking about what she can do for her current and prospective clients. I like her on a personal level as well - she takes the time to give good sense advice, to listen to me but also makes good use of that time. Excellent sense of humor and easy to talk to. Joanne came to me as a referral from someone else in the real estate business who endorsed her wholeheartedly as well. Joanne LaPhan was a great real estate agent. She kept me apprised of the situation of the sale every step of the way. She was not pushy and didn't try to influence my decision. Just gave me pertinent information and any help I needed. I would seek her out if I have need of an agent again and would recommend her to any of my friends. -- Al and Dianne P.
Joanne LaPhan came highly recommended by others who have used her. She has been instrumental in our purchase of two homes for investments (in our children). Joanne has demonstrated not only a willingness to work with us, but the requisite knowledge of little things that only a seasoned real estate professional might know with regard to purchases. We have subsequently recommended Joanne LaPhan to others, and would not even consider another agent for our real estate needs. She is far and above any others we have encountered or heard about. Joanne LaPhan has our highest regard, and deserves this endorsement completely. She is currently working on a tricky double short sale for us, and always keeps us informed of every aspect of the transaction. -- John and Mary D.
We endorse Joanne LaPhan LLC because of her sparkling personality and knowledge of the real estate business. She's been very helpful in our process of our home purchase. I would recommend Joanne to my friends and family if they were to purchase a home. She's the best. Very personable, pleasant and and a pleasure to work with. We've utilized Joanne's real estate expertise several times over the years. We would not consider anyone else for our real estate needs. Provide her the real property parameters that you are looking for and she will work night and day to accomplish that goal. As one of the most honest people that we know, we have and will continue to recommend her to family, friends and acquaintances for their real estate needs. Joanne is so knowledgeable of the Hernando and Pasco county markets. She has a excellent team of service persons she recommends to her clients. She works 24 hours to ensure her clients real estate experience is problem free and with the feeling they have had a great experience. Joanne LaPhan is without a doubt, professional with a genuine sense of care that her clients get 210% representation. I have worked with Joanne both personally and in my Real Estate career and find her to always be 'on her game', knowledgeable in all aspects of representing both buyers and sellers. I have referred several people to Joanne, including my daughter. If you want to be sure you receive the very best representation... Joanne LaPhan is your Real Estate Agent. She sets the bar for other agents to aspire to. We used Joanne to sell my mom's house in Spring Hill. She was very proactive, professional and pleasant to work with. I would recommend her to anyone looking to buy or sell.